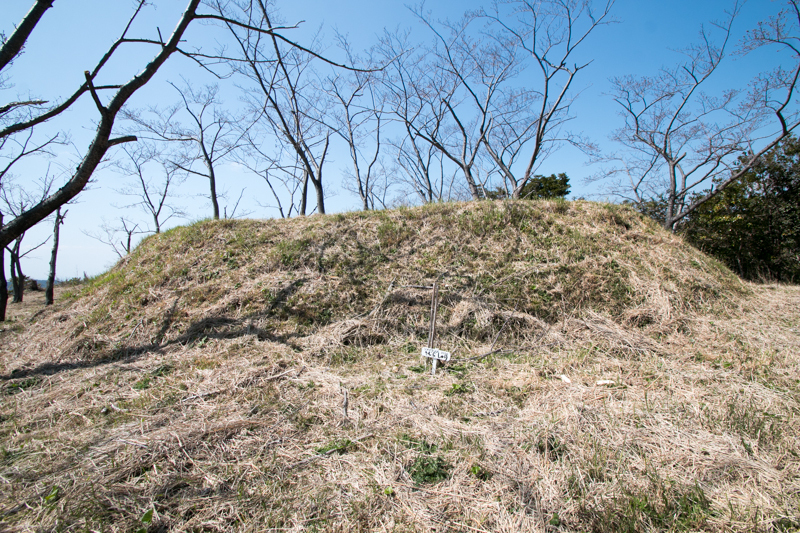 Tedori castle (手取城) is located at the top of Shiroyama mountain, one of 170 meter height from sea level at the east of Wasa station. 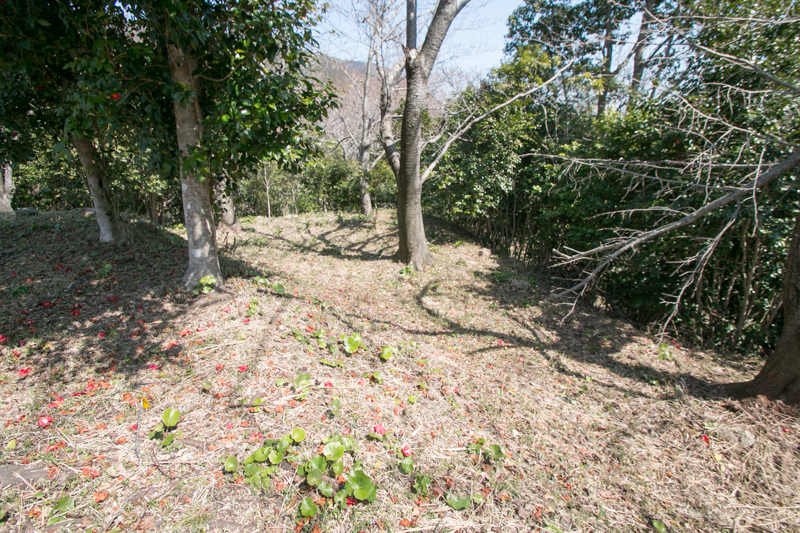 Castle area is a place where Hidakagawa river, the third largest river of Wakayama prefecture flows from mountainous area into Hidaka plain, not so large but second largest plain of the prefecture at the middle of west coast of Kii peninsula. Shiroyama mountain is not so high one but being protected by curving Hidakagawa river for its front side and surrounded its back side by deep valley, it was a suitable place to build a castle. 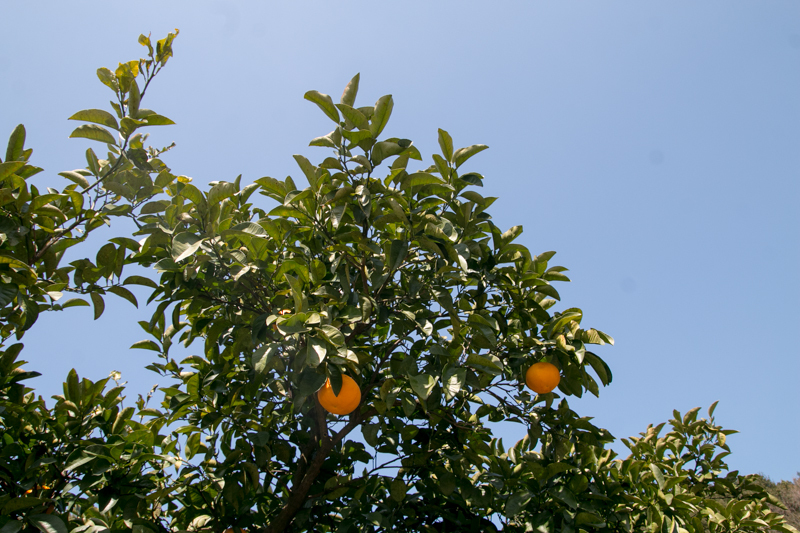 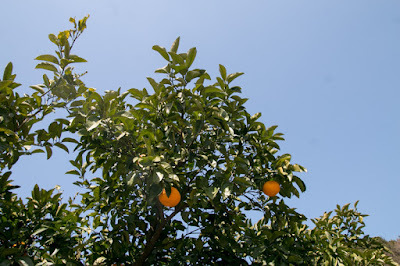 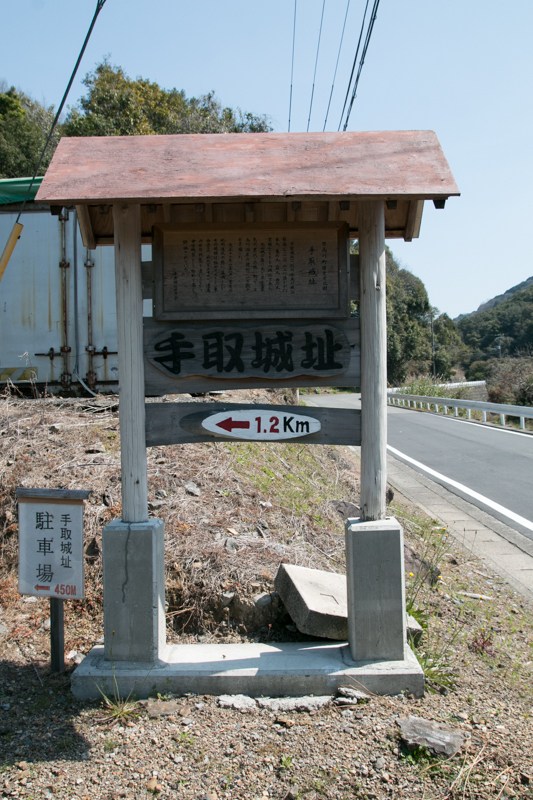 Kii province (current Wakayama prefecture) occupies western half of Kii peninsula, a large peninsula at the south of Kinki region. 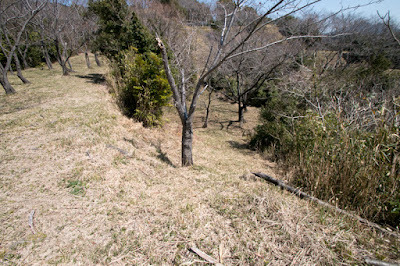 Except for river side area of Kinokawa river which flows from east to west at northern border, major area of the province is covered by Kii mountains. 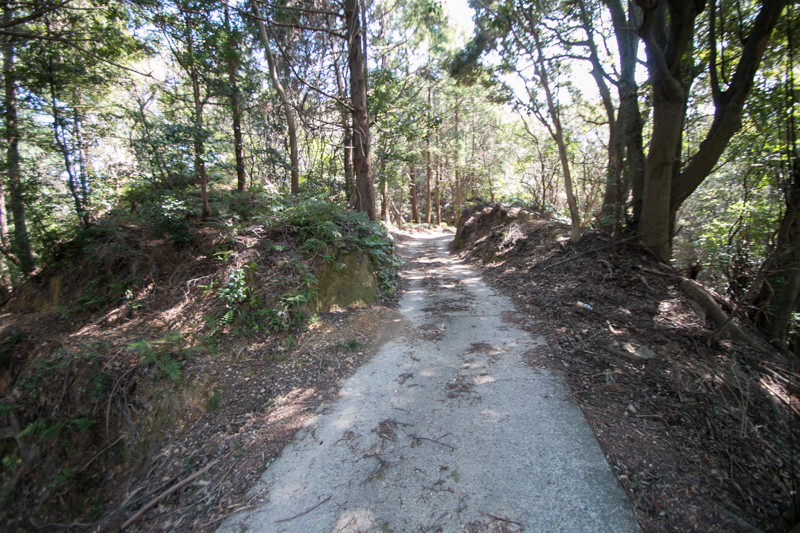 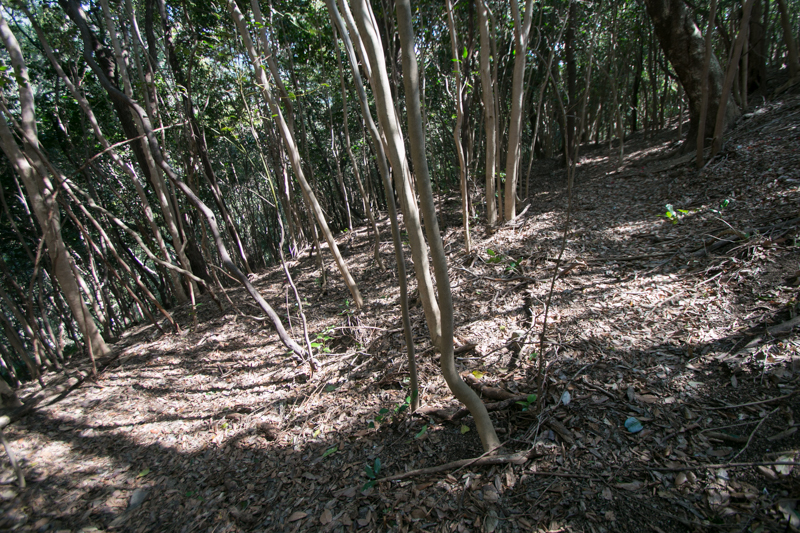 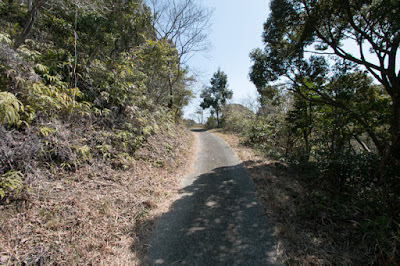 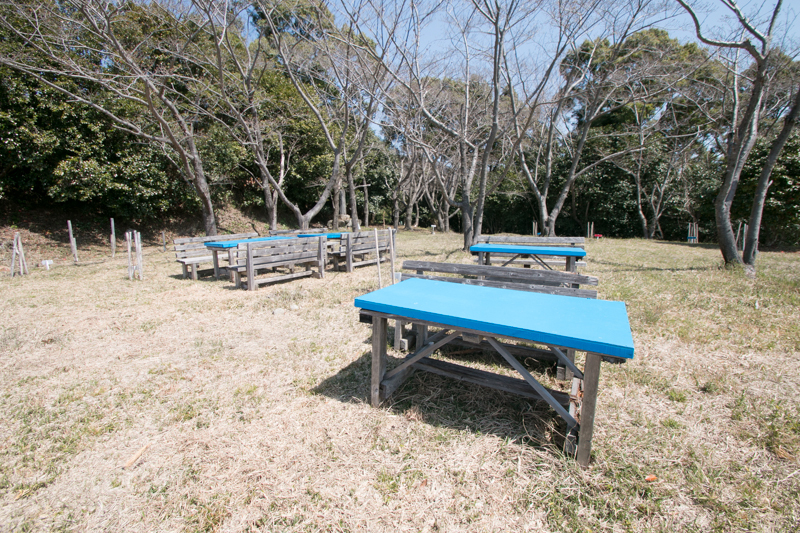 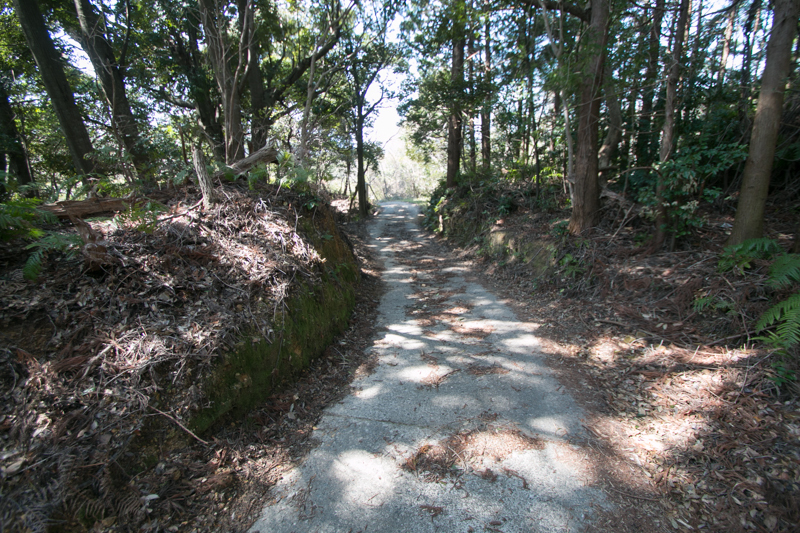 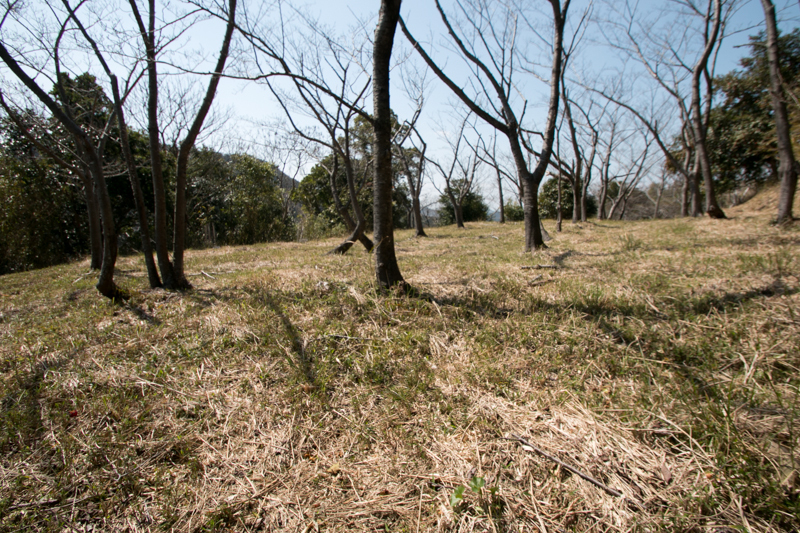 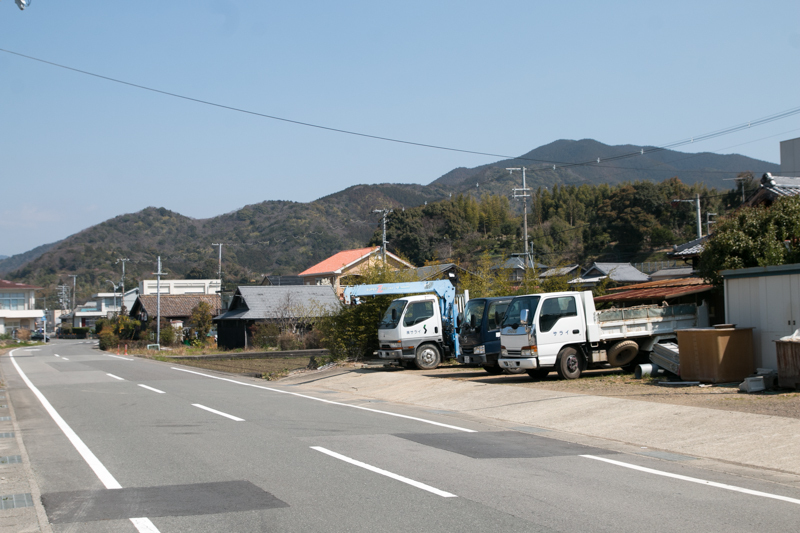 Although dwelling and agricultural area is limited, but its terrain is covered by rich forest and provided wood materials used for construction all over Japan. The origin of the word "Kii" province meant "Wood province". 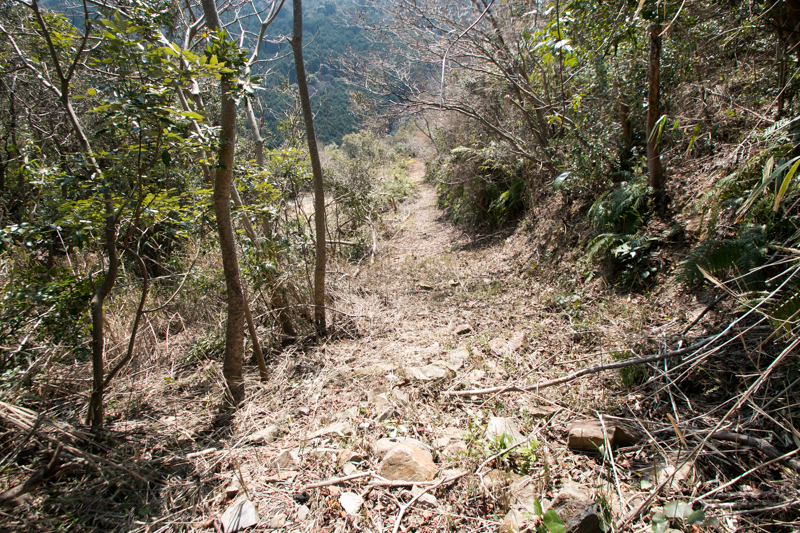 Kii province is roughly divided into three part, and has different history. 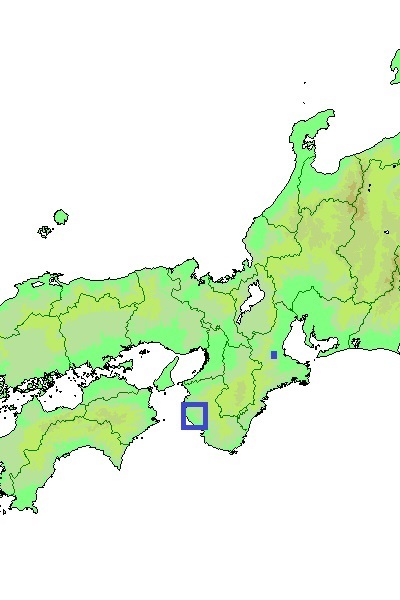 The northern part including current Wakayama city had a relatively flat area along with Kinokawa river, a large river flows from middle part of Yamato province (Nara prefecture) to Osaka bay. Because of its geographical condition at a border of flat land of Kinki region and southern mountainous area, many priests chose this area as their living and training place. 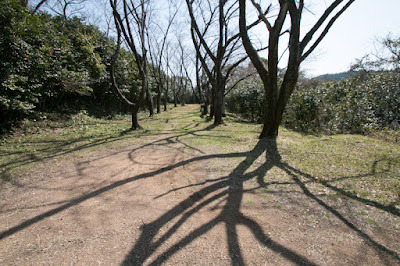 Famous traditional temples such as Koyasan Kongobuji temple founded by esoteric Buddhism priest Kukai (774-835) in 816, Negoroji temple established at 1130, Kokawadera temple which is said to be built at 770, stands along Kinokawa river. In medieval area. these temples increased their manor by dedication or their own development, then had their own monk soldiers. 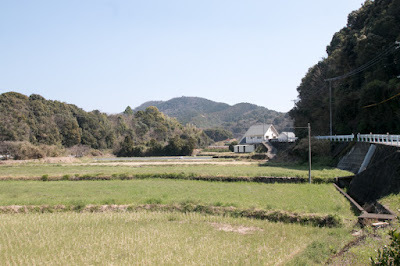 Being protected their religious authority and force, northern part of Kii province became a semi-independent area from central authority. 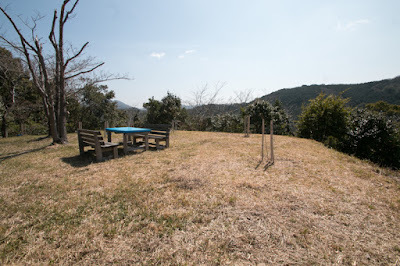 In 16th century, monk soldiers of Negoroji temple introduced matchlock guns on a large scale, and worked as a mercenary at the conflict between warlords along with Saika people at next area. 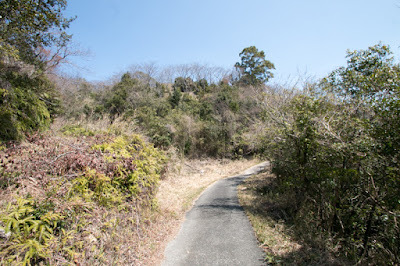 Contrary to northern area as a Buddhism area, south part of the province filled with deep mountains and blue rivers was liked from Shinto or Shugendo priests. 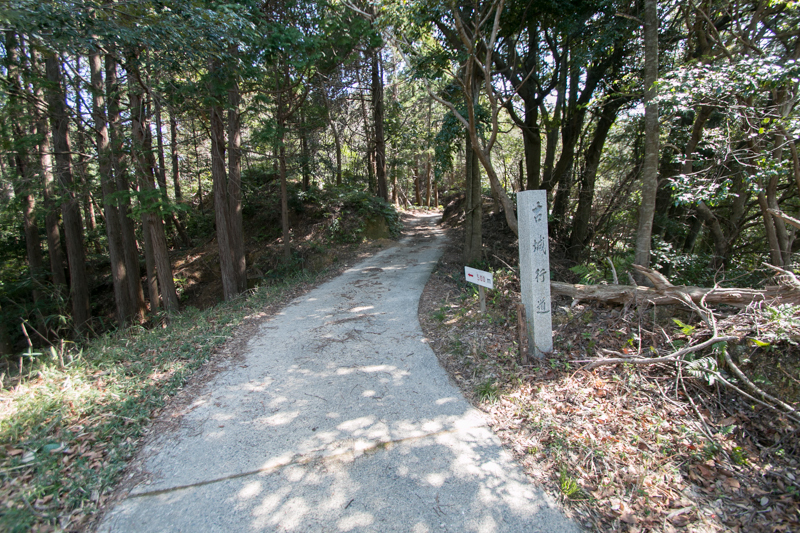 Since 10th century, Kumano Sanzan shrine consists of Kumano Hongu Shrine, Kumano Nachi Shrine and Kumano Hayatama Shrine which exists at the side of Shingu river, became deeply trusted by Imperial Household. 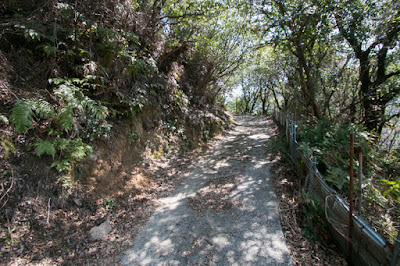 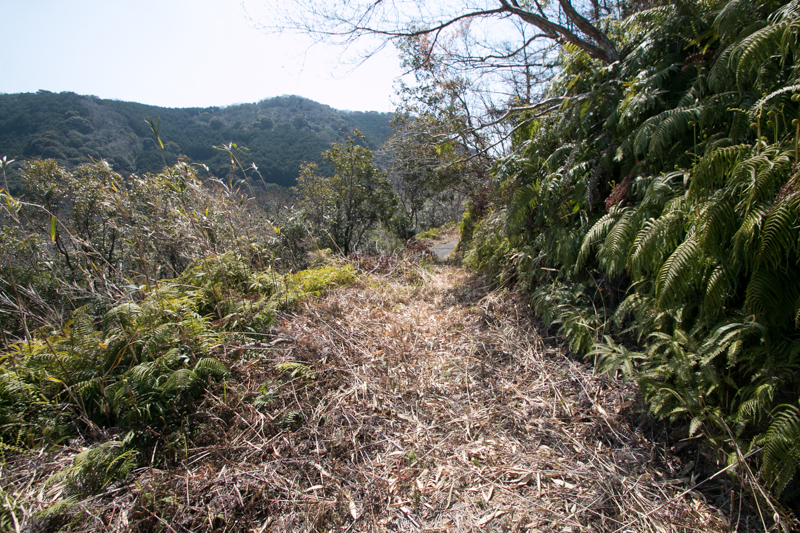 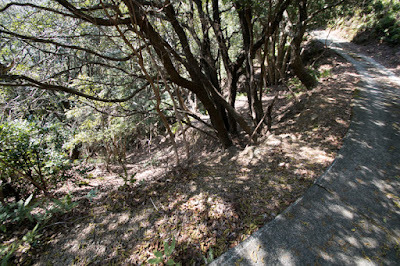 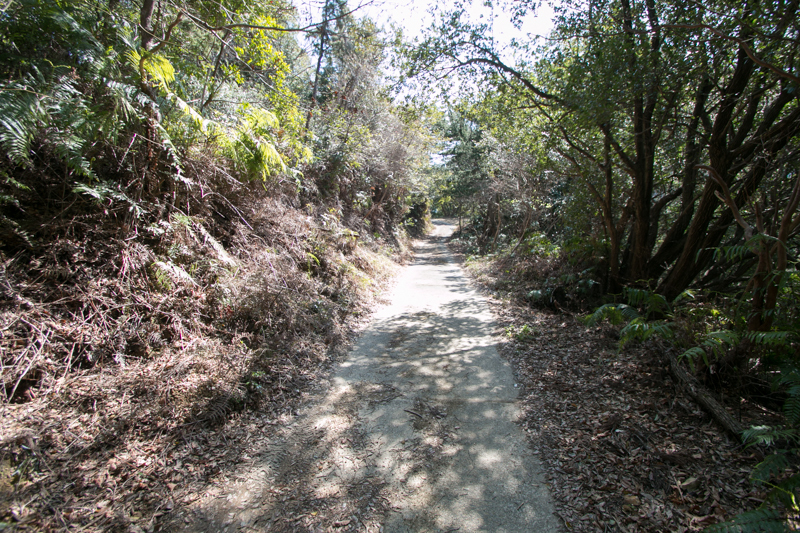 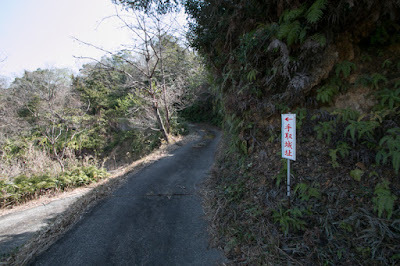 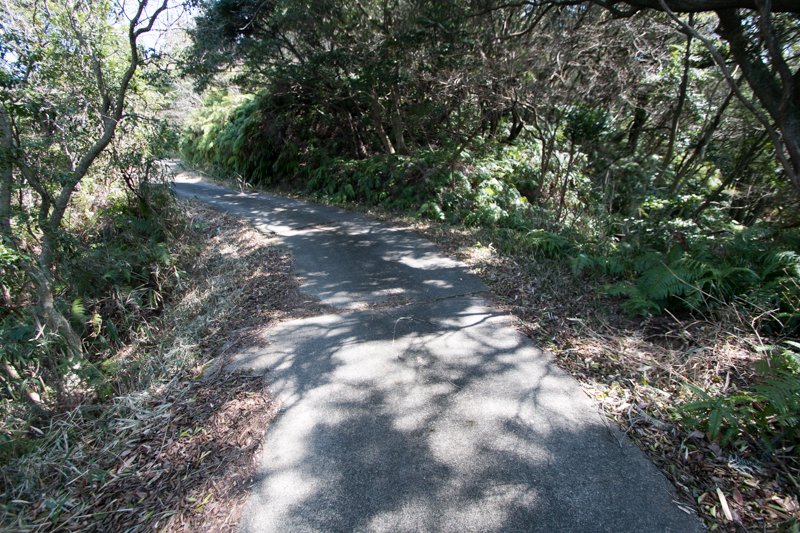 Many high class people traveled to Kumano area, and later this became a pilgrim course which now became a World-Heritage as " Sacred Sites and Pilgrimage Routes in the Kii Mountain Range". As there was quite limited flat lane, Kumano Betto clan which was a house of priest of Kumano shrine and grasped southern part of the province, formed Kumano naval force and engaged in maritime trade. 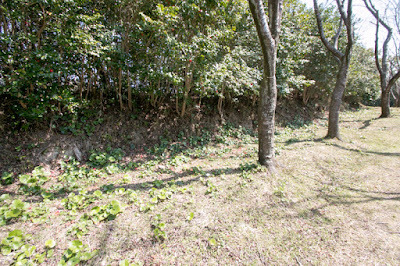 Kumano naval force activated at the battle between the conflict between Taira clan and Minamoto clan, but decreased their power by internal conflicts and disappeared. After that naval clans such as Shingu clan or Horiuchi clan held this area by the end of Sengoku era. On the other hand, for the middle part of the province such as current Gobo city or Tanabe city, there were no strong religious authority and there were good width of flat land, then these areas were dominated by medieval feudal lords same as other part of Japan. Different from northern part and southern part which was steadily governed by strong authority, there were conflicts between local lord at middle part, thus medieval mountain castle of Kii province mainly evolved at this middle part area. Originally this area was held by Yuasa clan which was the lord of Arita area, and at the battle between Southern Imperial house lead by Emperor Godaigo (1288-1339) and Northern Imperial house supported by Takauji Ashikaga (1305-1358), Yuasa clan belonged to Northern Imperial house. But finally Yukawa clan fell by 15th century along with Southern Imperial house. After the fall of Yuasa clan, middle part of Kii province was divided by many small local lords. 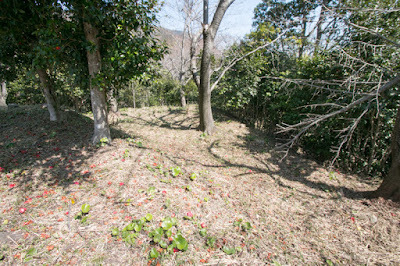 Yukawa clan was originally a branch family of Takeda clan at Kai province (Yamanashi prefecture) and entered into Kii province in 14th century. 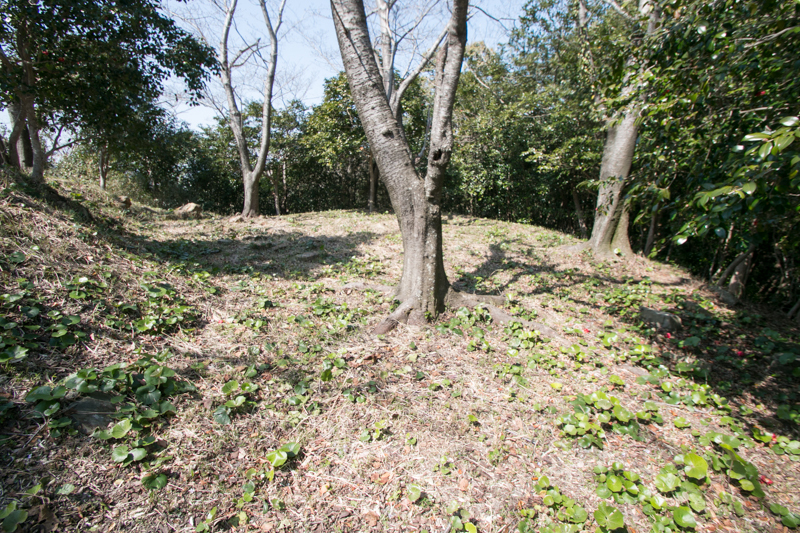 At the conflict between Emperor Godaigo and Muromachi Shogunate, Yukawa clan belonged to Muromachi Shogunate and was given current Hidaka area from Shogunate. 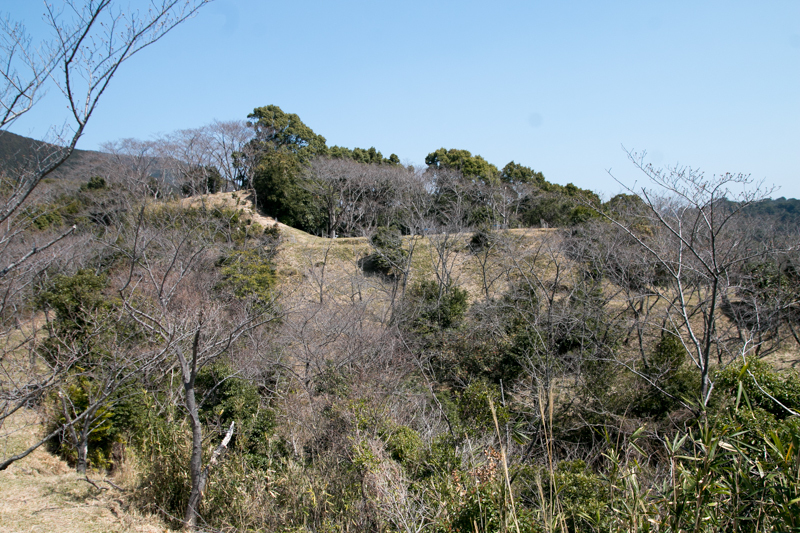 Yukawa clan built Kameyama castle at current Gobo city as their residence, and nominally belonged to Hatakeyama clan, the governor of Kii province, but directly served to Shogun of Muromachi Shogunate. 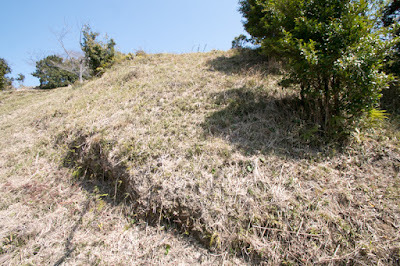 Second largest local lord of middle part of Tamaki clan, which was the lord of Tedori castle. Tamaki clan was originally a priest of Tamaki shrine, a traditional one at Totsugawa village at the south part of Nara prefecture, then advanced into current Ryujin village along with Route 425 and built Tsurugajyo castle there. 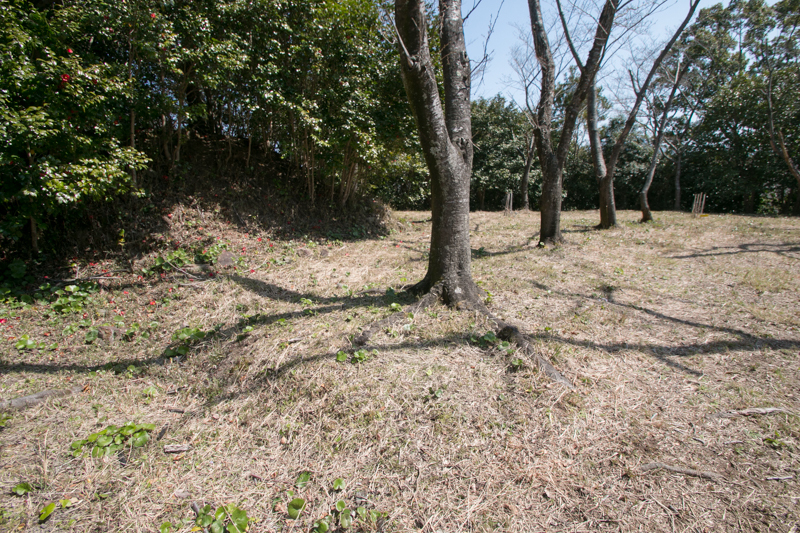 Later in 14th century a branch family of Tamaki clan further advanced into Wachi area, the east edge of Hidaka plain, beat local lord Kawakami clan and captured it. 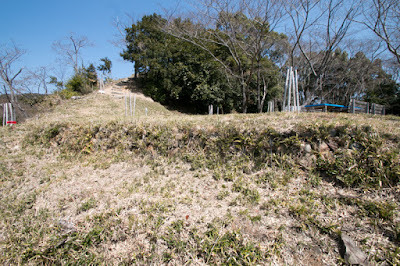 Tamaki clan newly built Tedori castle as their residence. 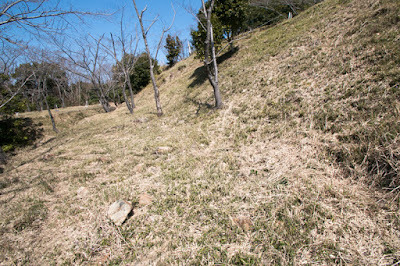 Tedori castle spreads over a long and narrow mountain spread east and westward. Central area of the castle is a hexagon like area of 30 meter long, which had one small terrace at northward. There remains many flatly cut stones used as a basement of wooden pillars, and there might be a residence of the lord. 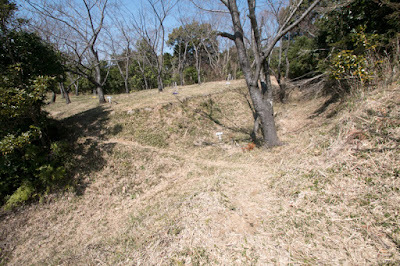 Secondary area spreads from southward to eastward of central area over 100 meter long at lower level, and this area is decorated by line of low stone walls. Outer area of this castle spreads eastward, northward and westward from these core area. 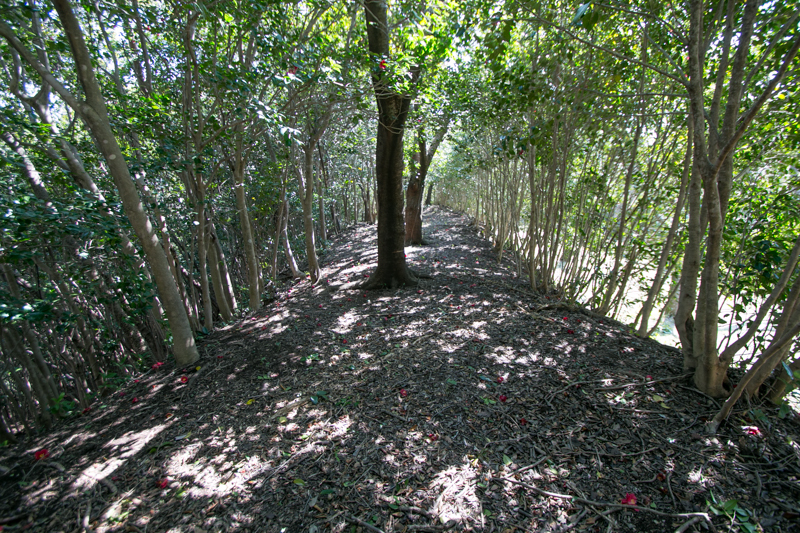 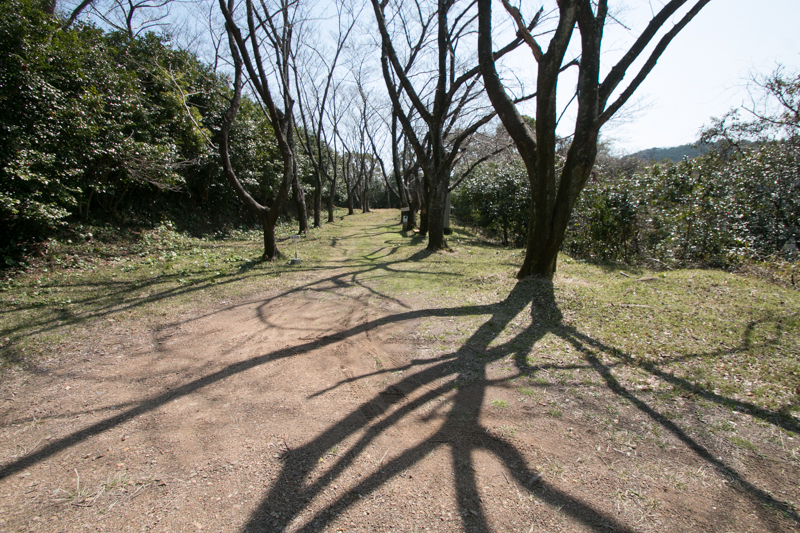 Eastern area named as Higashinomaru was a narrow and long area of 80 meter long, which had a large clay wall faces northward. 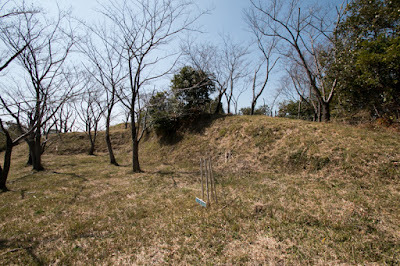 At the tip of this long area there was a small flat space which might had a watching tower. 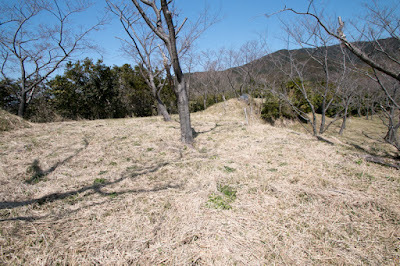 North slope of this area is protected by combination of two layer terraces and horizontal dry moat. 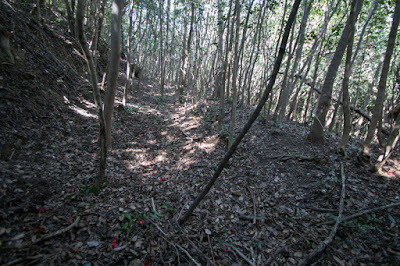 North ridge from central area connects to next mountain is a backside of this castle. 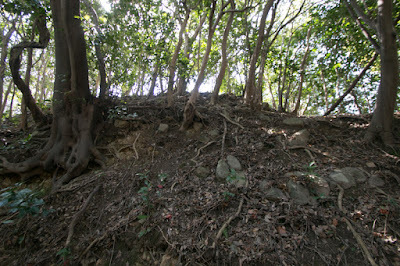 and the most important weak point, then this part is securely protected by combination of dry moats and steep slopes. 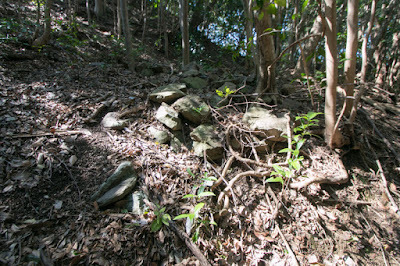 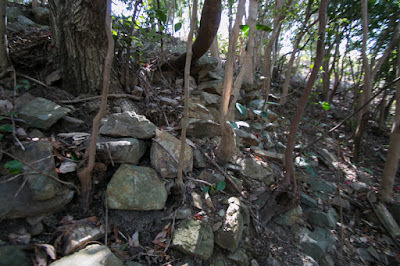 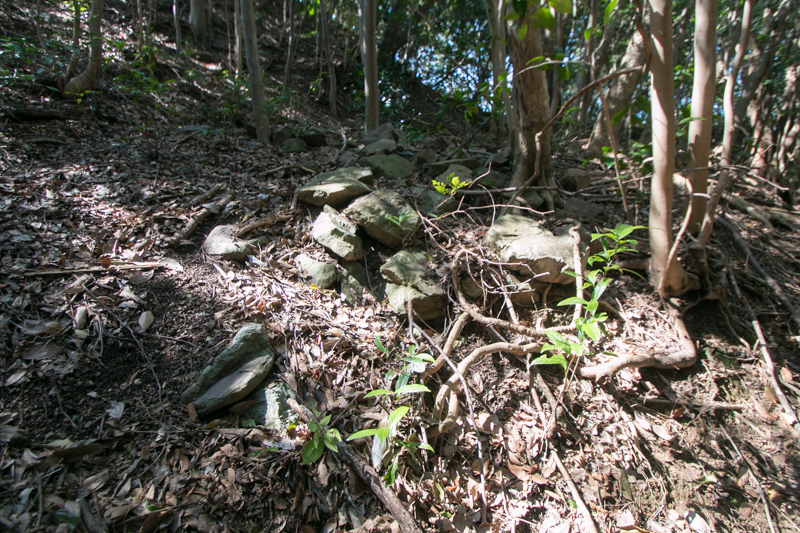 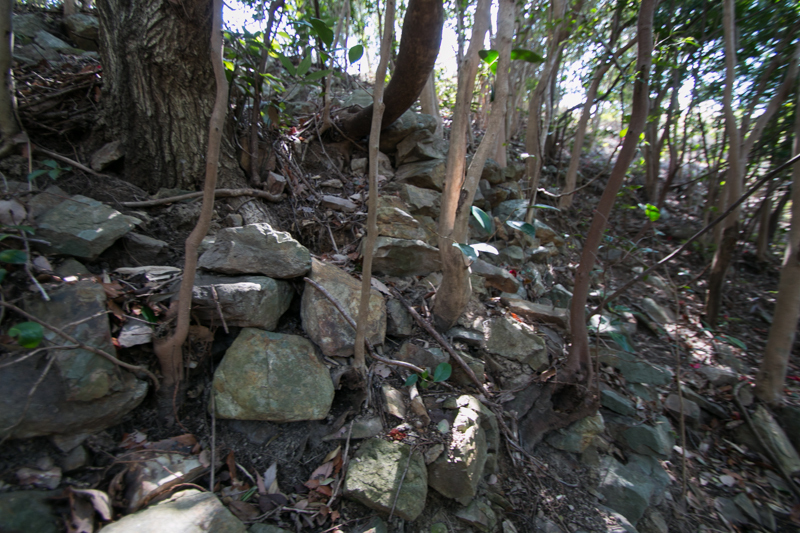 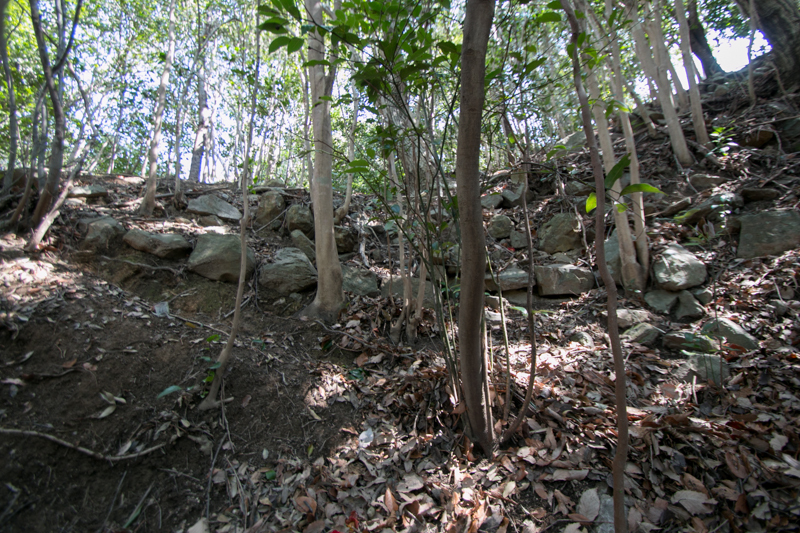 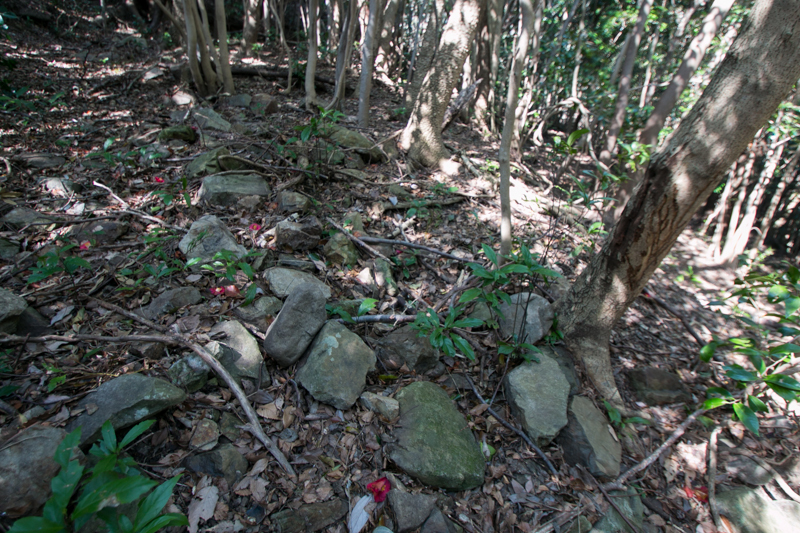 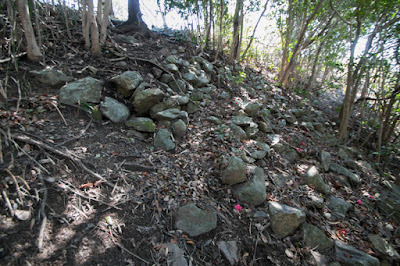 Furthermore there is a ruin of stone walls which formerly covered whole part of this area in the bush. Different from stone walls of central area, stones of this stone wall is a large and there seems serious will to protect this side. 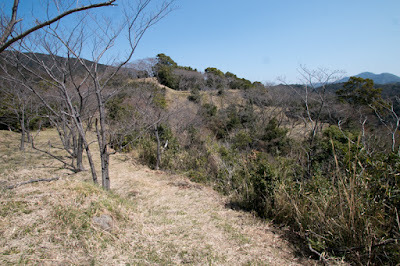 Western part of this castle spreads at gentle ridge over 300 meter. 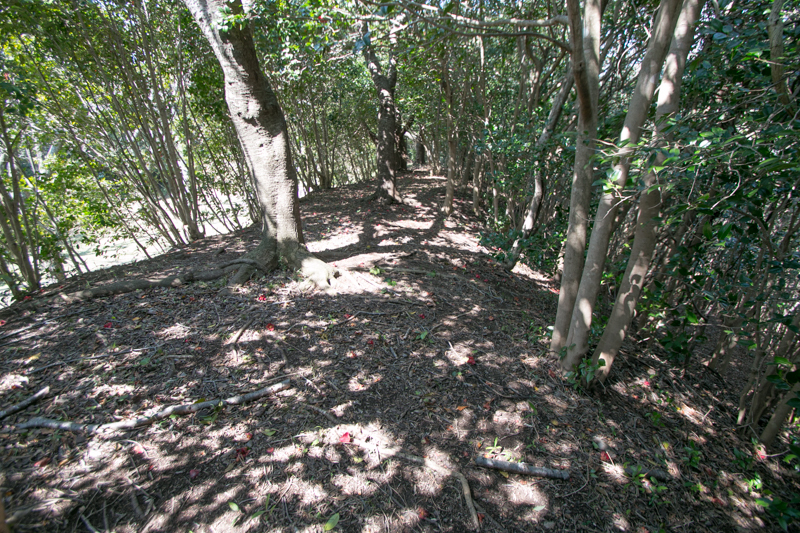 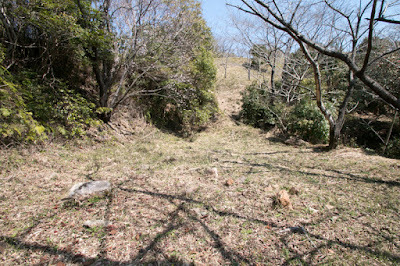 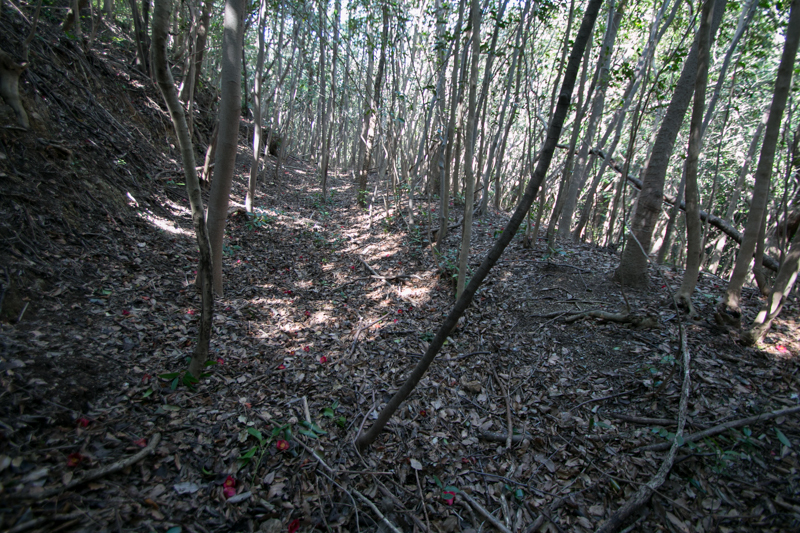 Ahead of deep and wide dry moat from central area, there was another large flat area named Nishinomaru which had a small peak. 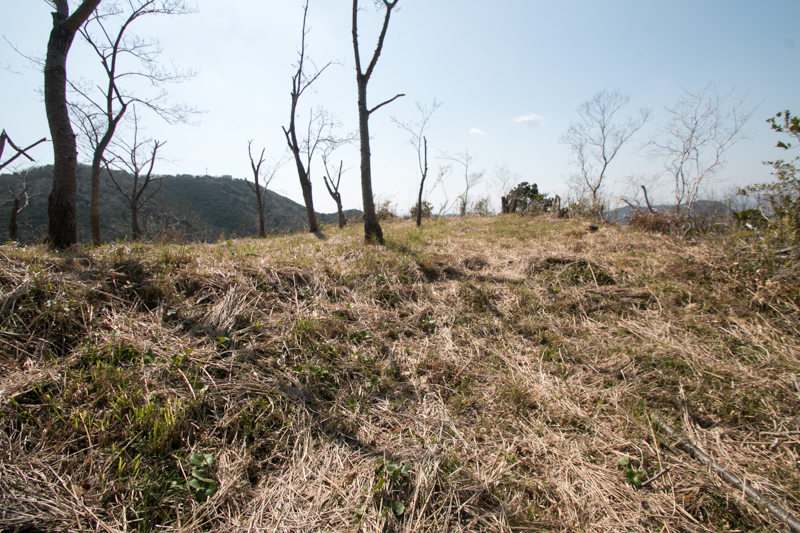 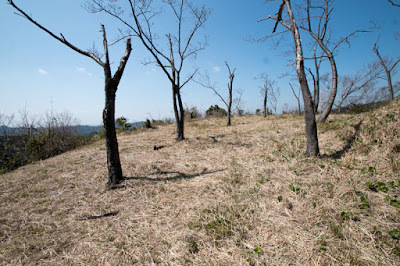 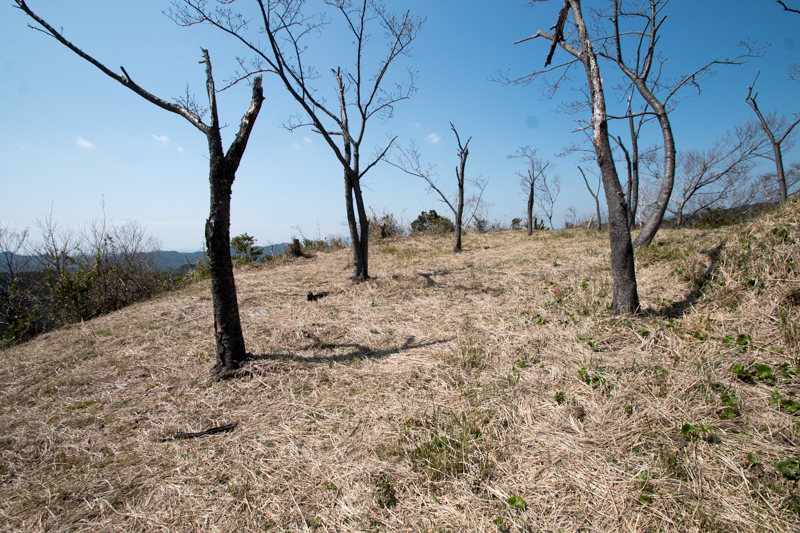 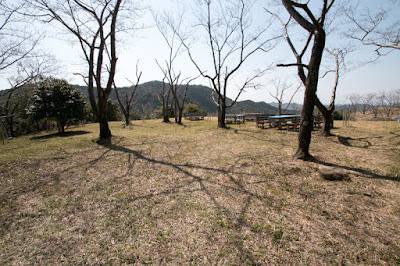 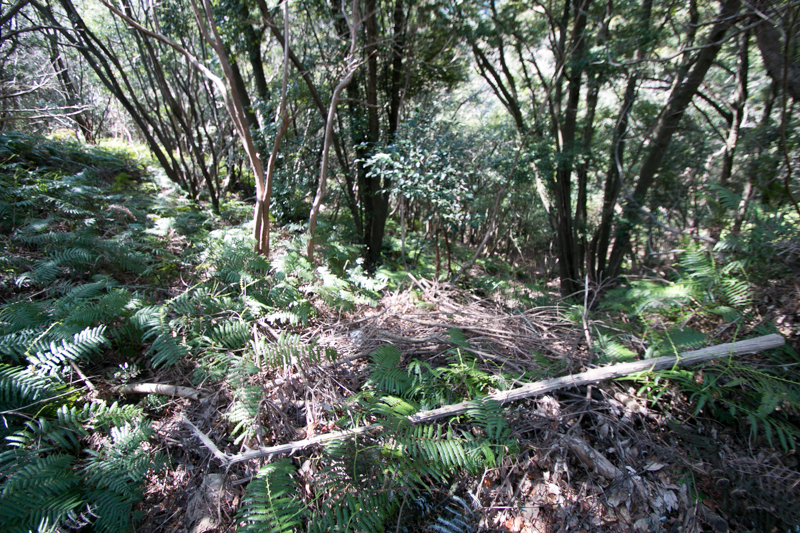 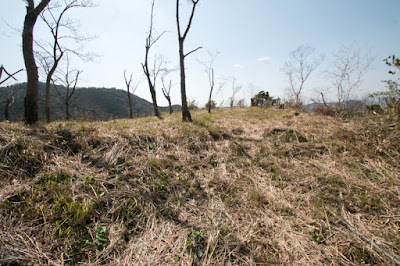 This peak might be used as a watching tower to see downstream side of Hidakagawa river. 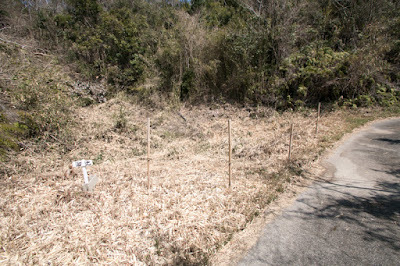 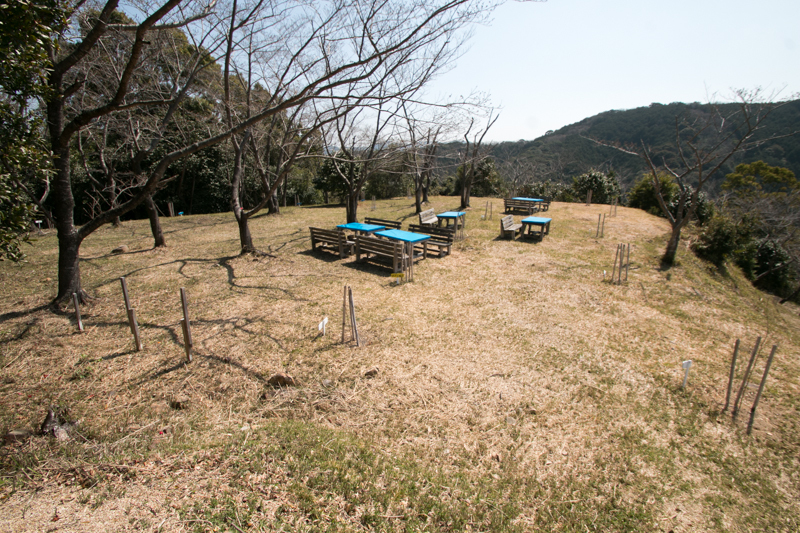 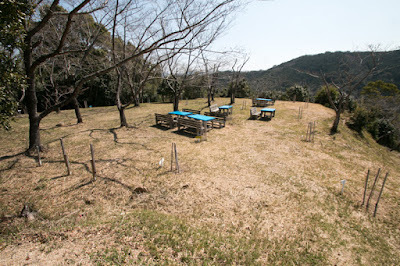 At a small valley between central area and Nishinomaru area, there was a pond used as a water source. Ahead of this pond there is a stone wall which is said as a guarding turret to protect pond, but it seems a basement of main gate rather than a guarding turret of pond. 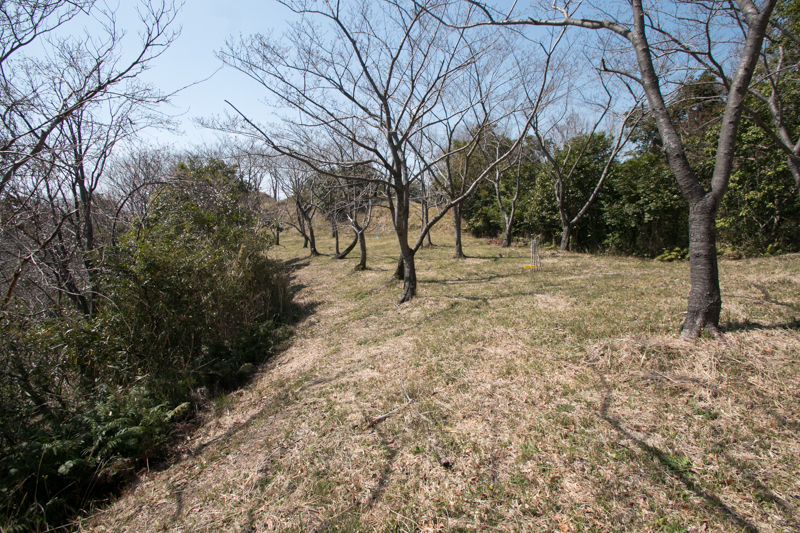 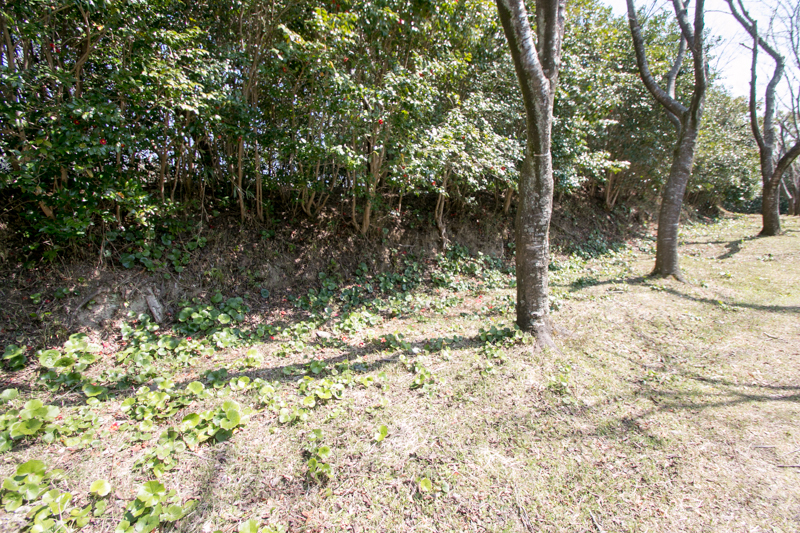 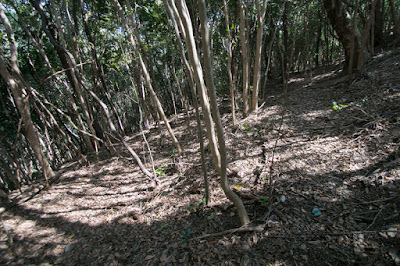 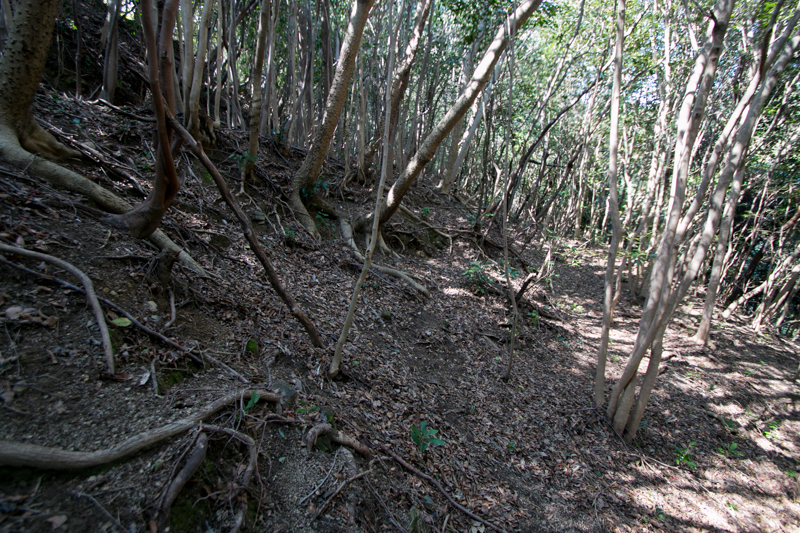 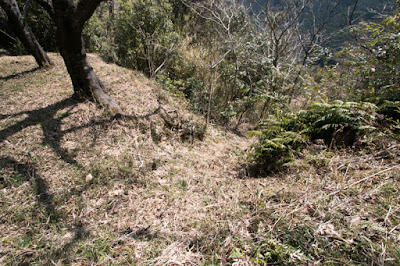 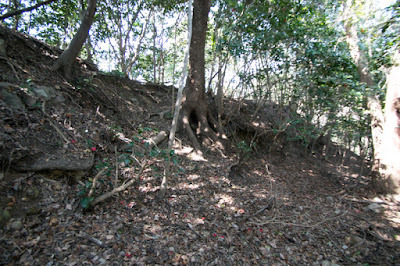 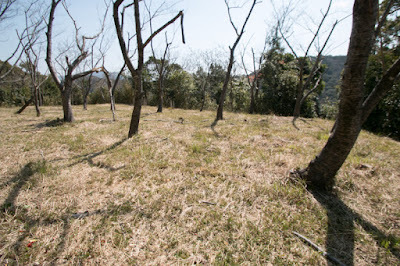 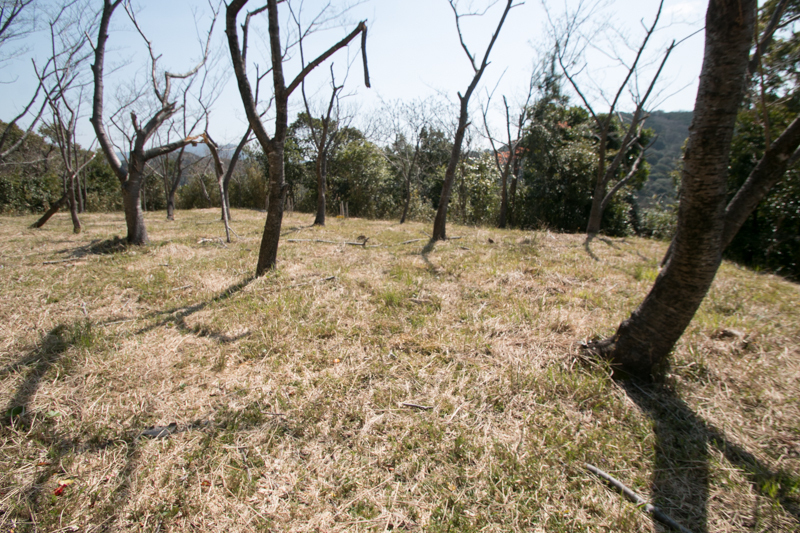 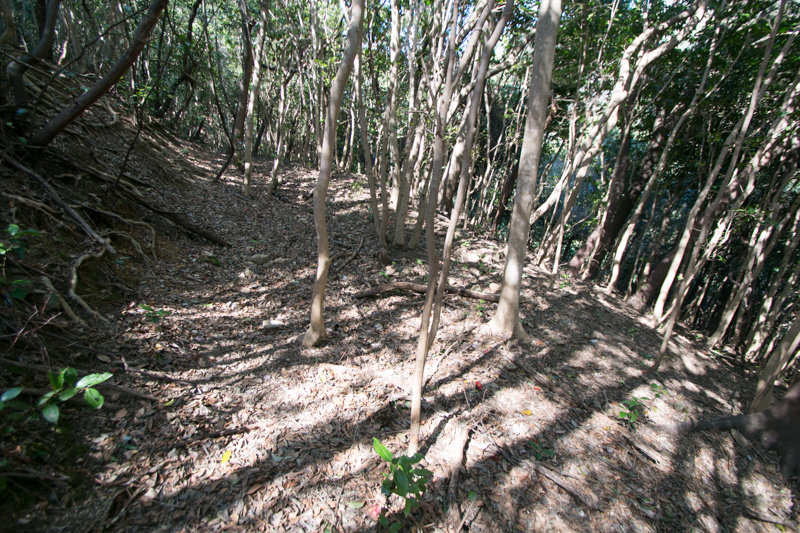 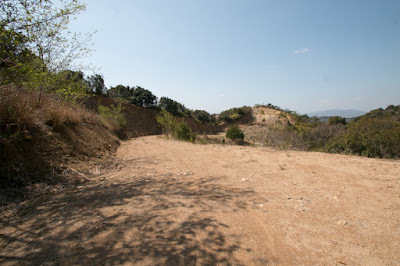 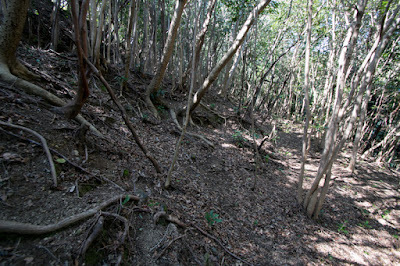 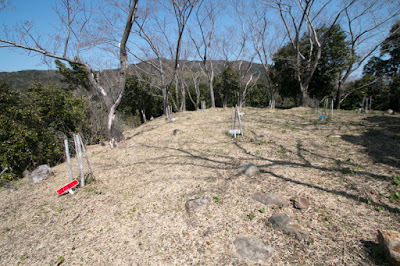 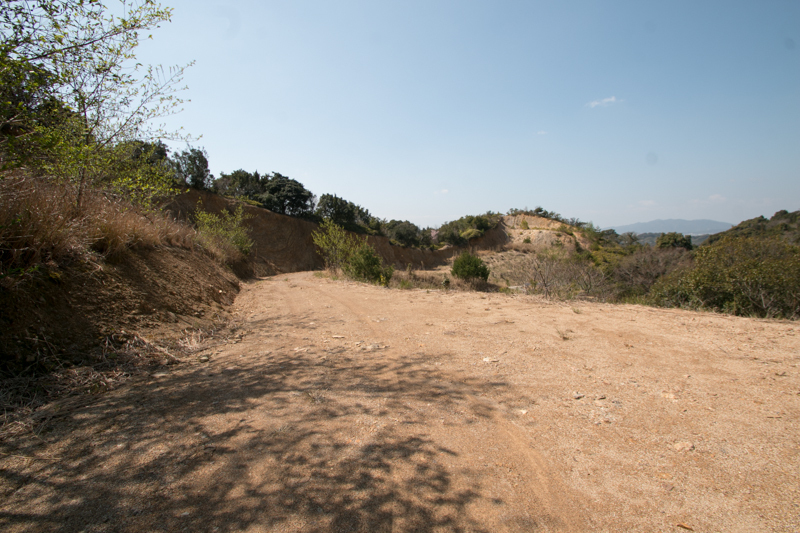 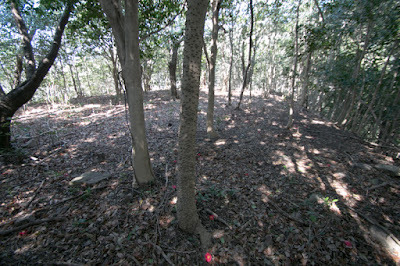 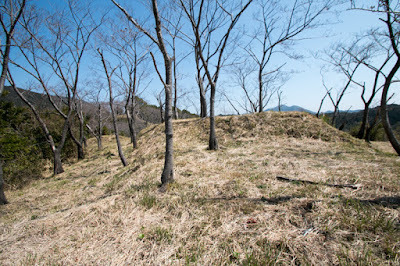 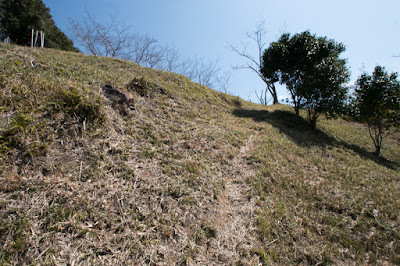 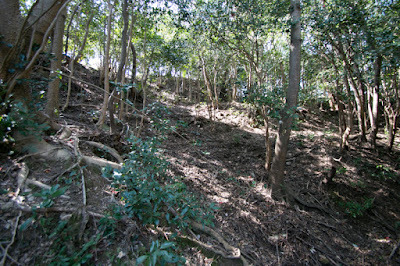 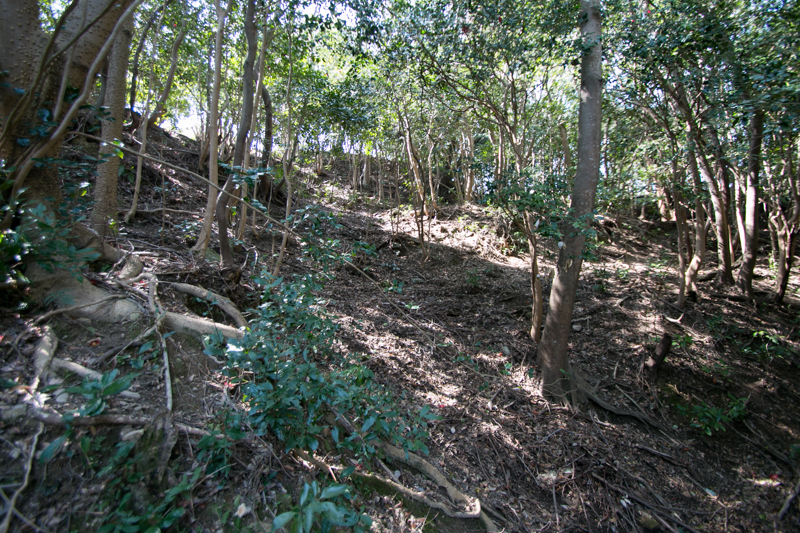 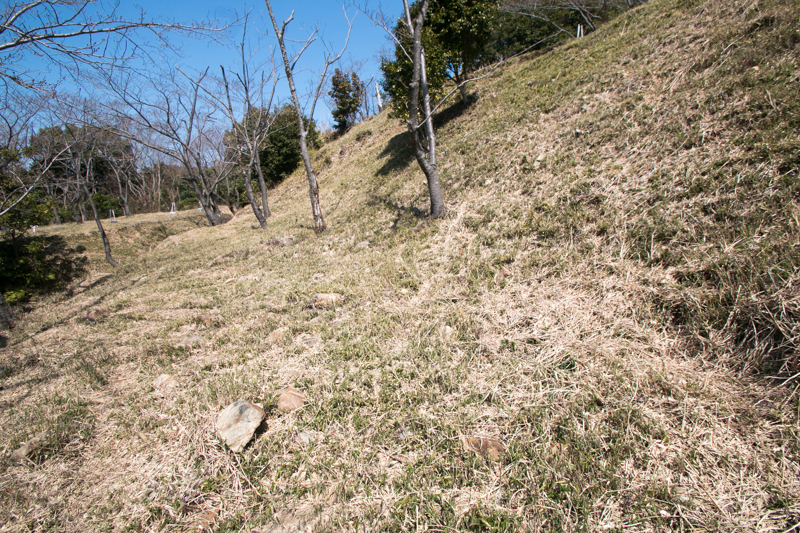 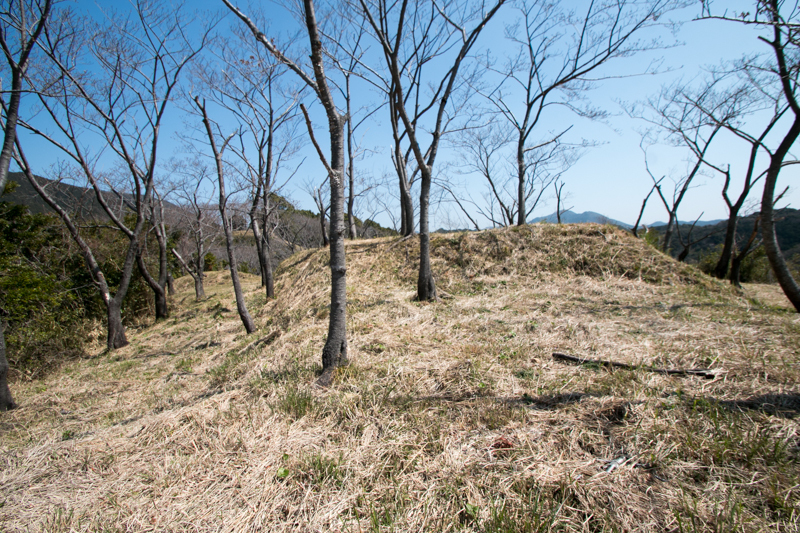 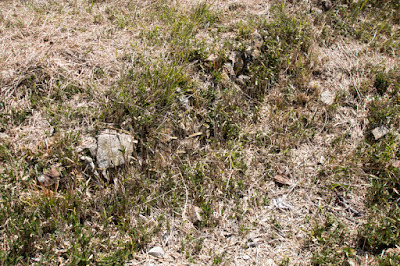 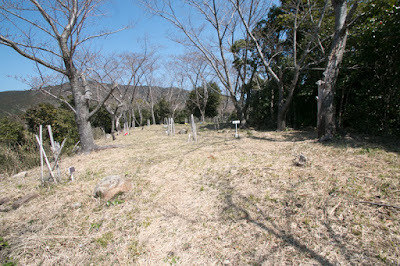 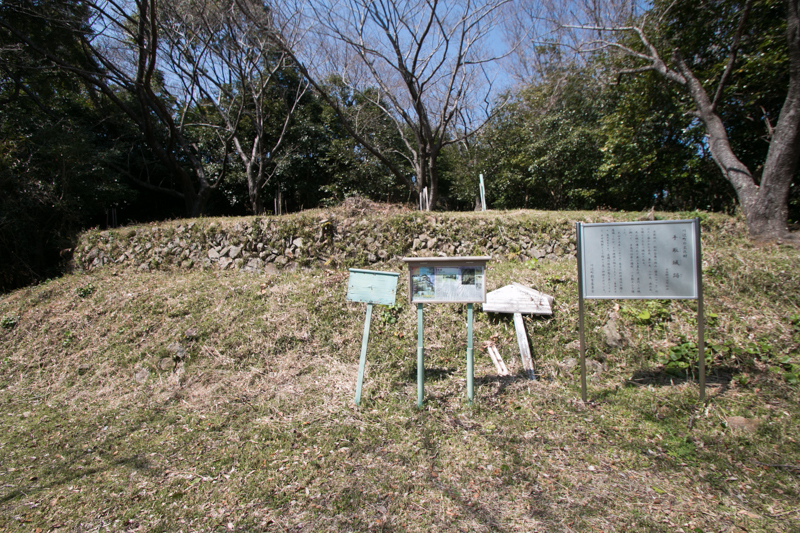 Ahead of this Nishinomaru area, middle size flat terraces are built along with the ridge. 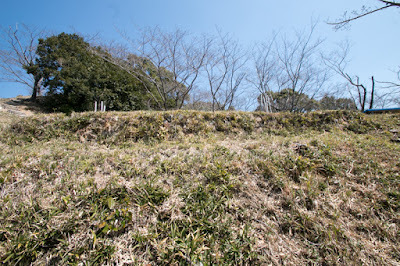 At the tip of these terraces, there is a ruin of main gate of the castle which had a clay bridge at the middle of deep dry moat. 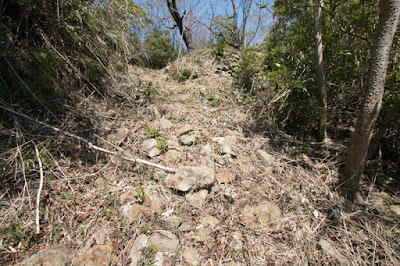 About 100 meter ahead of this main gate there is a small bottleneck separated by dry moat. 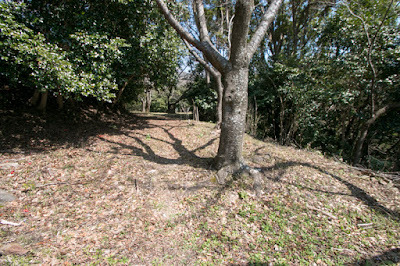 and this seems outside defense facility of the castle. 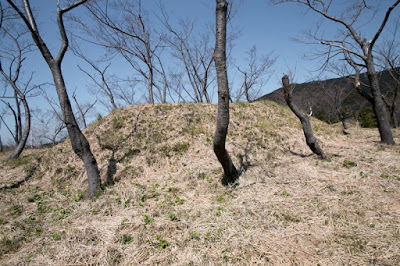 Total size of Tedori castle reaches to 500 meter long and 200 meter wide, and this is undoubted most developed mountain castle of Kii province. 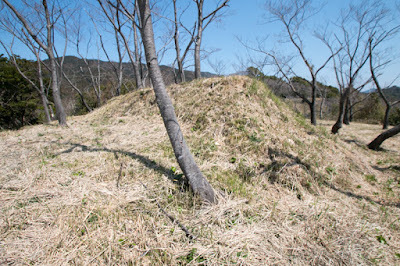 In the former half of 16th century, different from other part of Japan, middle part of Kii prefecture kept camp as strong forces of Koyasan temple or Negoroji temple caused other warlords to hesitate in invading Kii province. 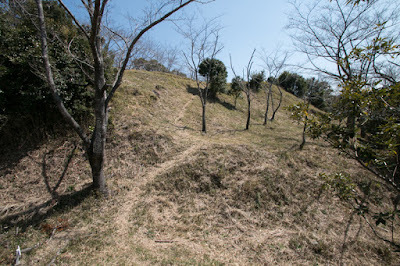 Local lords of Kii province fought at various place following its governor Hatakeyama clan, but in 1562, at the battle of Kyokoji which was the largest battle at Kinki region at that time, Hatakeyama clan and local lords of Kii province suffered fatal defeat against Nagayoshi Miyoshi (1522-1564). 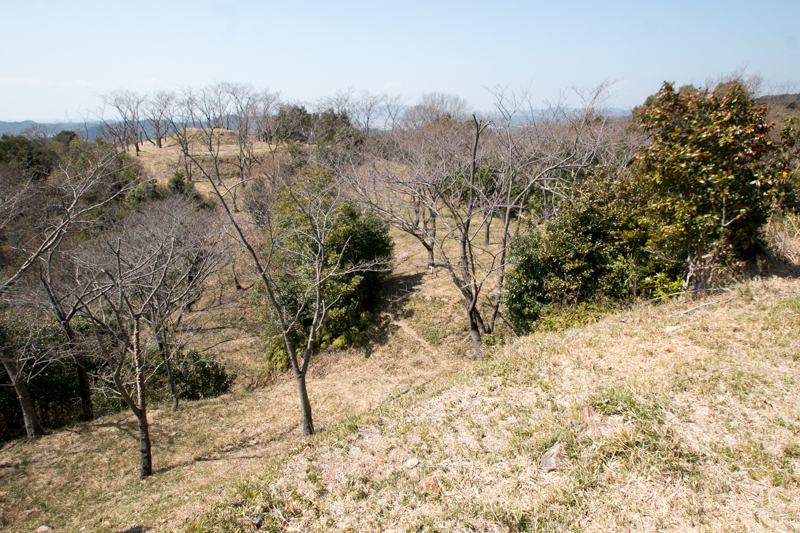 After that battle Hatakeyama clan totally lost their authority, and local lords of Kii province dominates their territory as independent lords. Tamaki clan had a marriage relationship with Yukawa clan, and these two clans cooperatively managed middle part of province over 20 years. But this calm period suddenly ceased by an arrival of central ruler Hideyoshi Toyotomi (1537-1598). In 1585, Hideyoshi lead a dominant force to subjugate Saika people and Negoro temple which shows hostility against Hideyoshi at the battle of Komaki-Nagakute between Hideyoshi and Ieyasu Tokugawa (1543-1616) occurred in 1584. 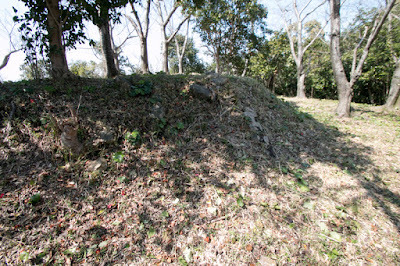 Being supported by massive soldiers, Hideyoshi totally defeated Saika people and Negoro temple, and also forced Koyasan temple to surrender then disarmed it. Being encouraged by this victory, Hideyoshi next targeted middle part and south part of Kii province. Facing dominant Toyotomi army, Naoharu Yukawa (?-1586), leader of Yukawa clan insisted to resist against Hideyoshi, but Tamaki clan intended to follow Hideyoshi then two family became separate. 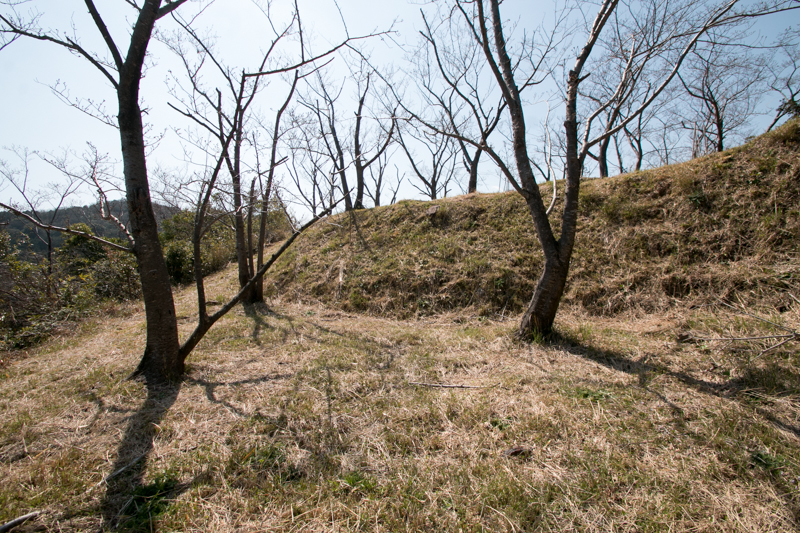 Yukawa clan attacked other lords belong to Hideyoshi, then Tamaki clan strengthened Tedori castle and besieged it. The result of this siege was unknown, but just after that Toyotomi army invaded into middle part of Kii province then Naoharu Yukawa burnt their castle and escaped. 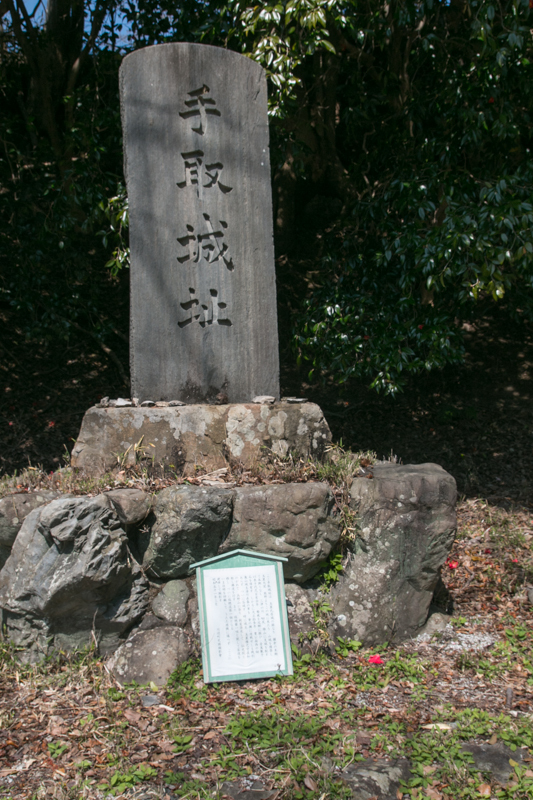 Naoharu barricaded himself at mountainous Kumano area and tenaciously resisted against Toyotomi army over one year, then made peace but soon died. Tamaki clan lost most part of their territory but barely survived as a feudal lord under Toyotomi clan. 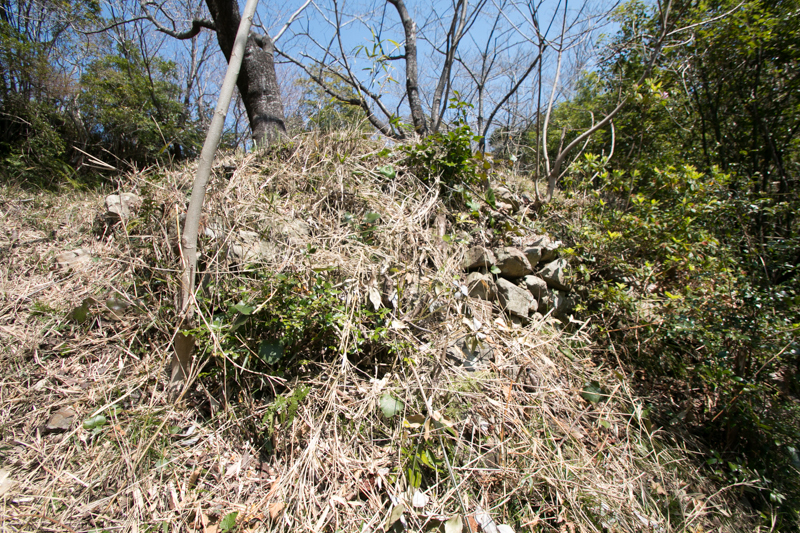 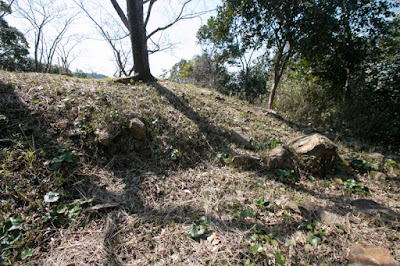 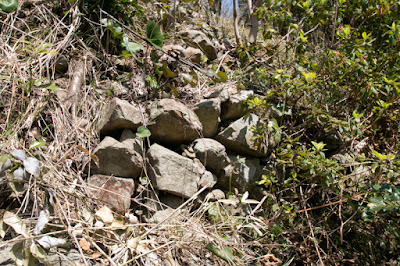 Stone walls of Tedori castle might be built under Toyotomi clan, as a local military base and connecting point considering continuing unstable situation of Kii province. 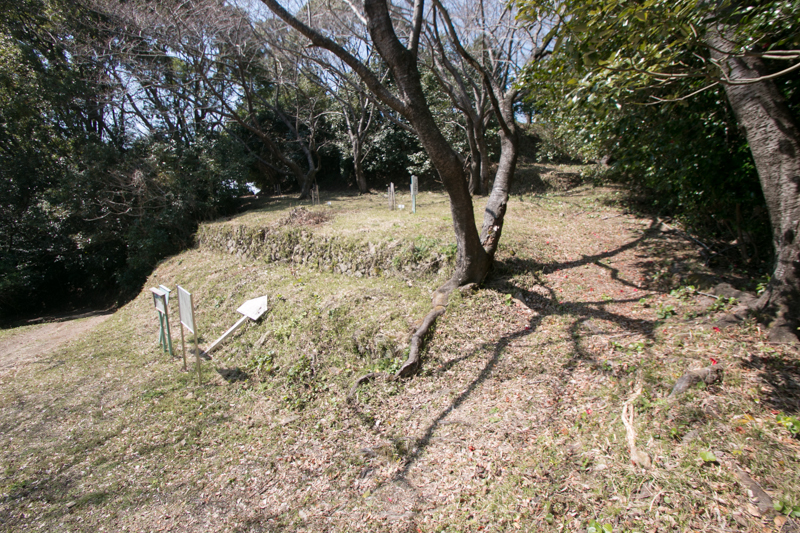 But Tamaki clan finally lost their territory after the battle of Sekigahara occurred in 1600, and Tamaki castle might be abolished at that time. 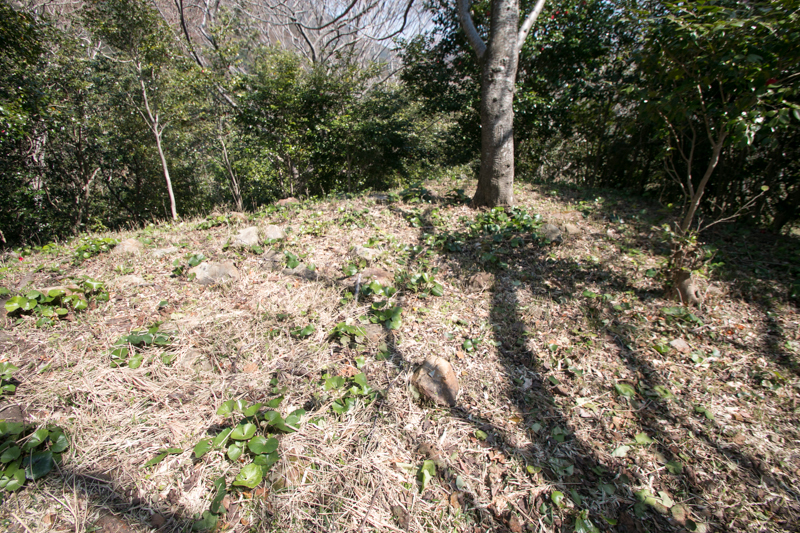 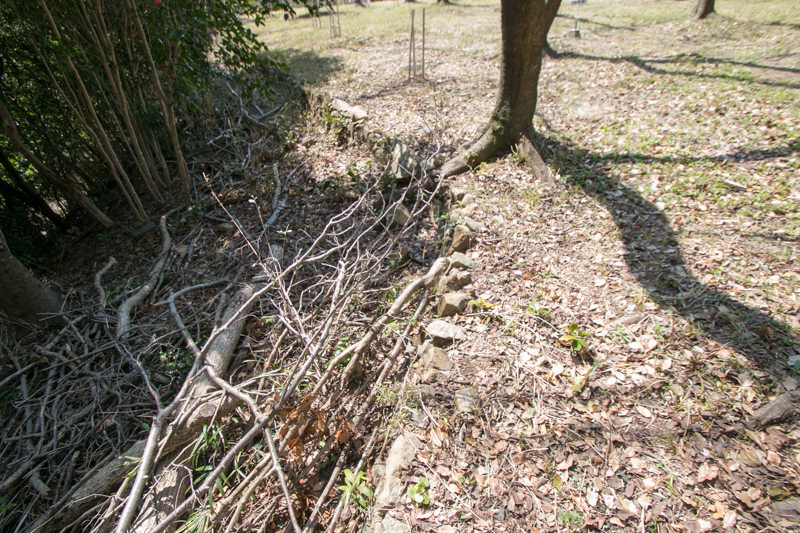 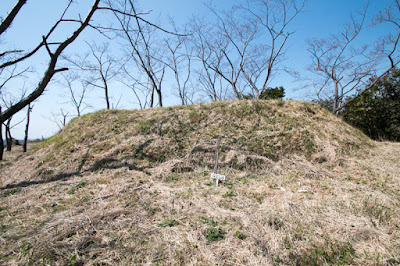 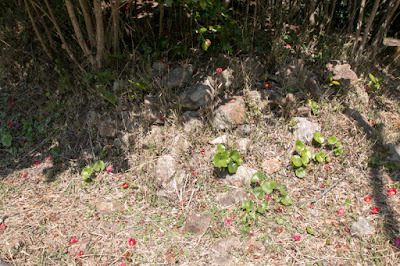 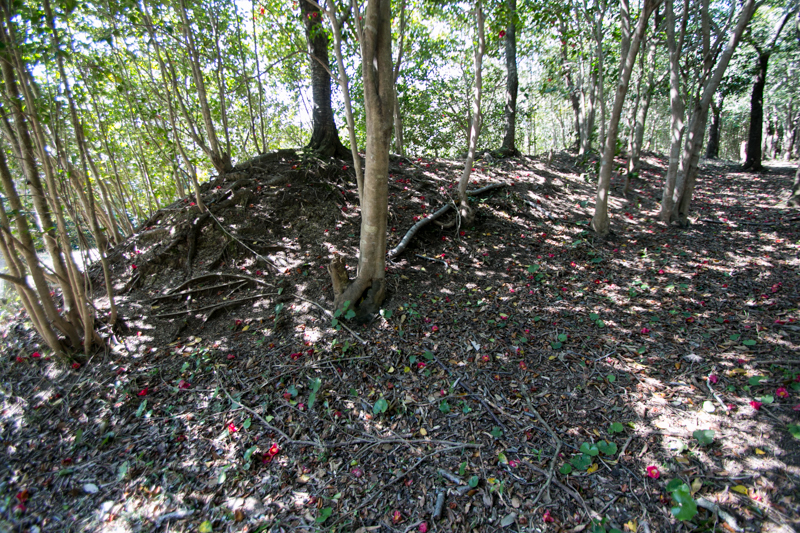 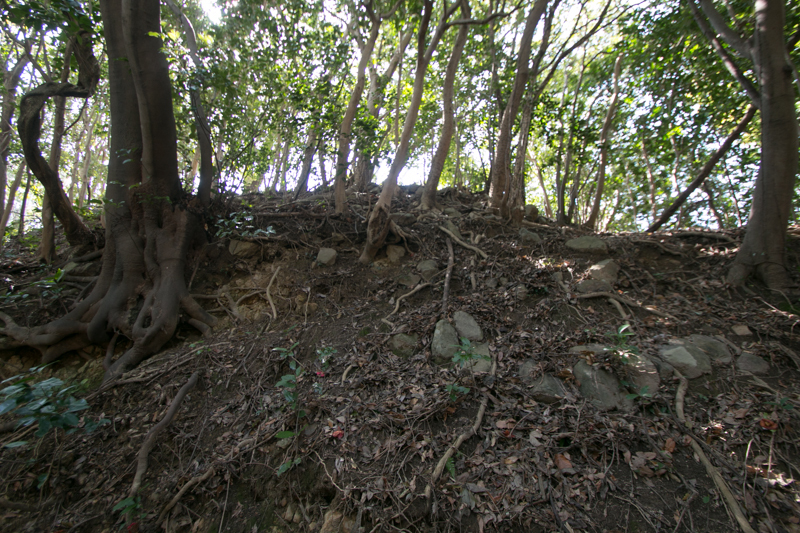 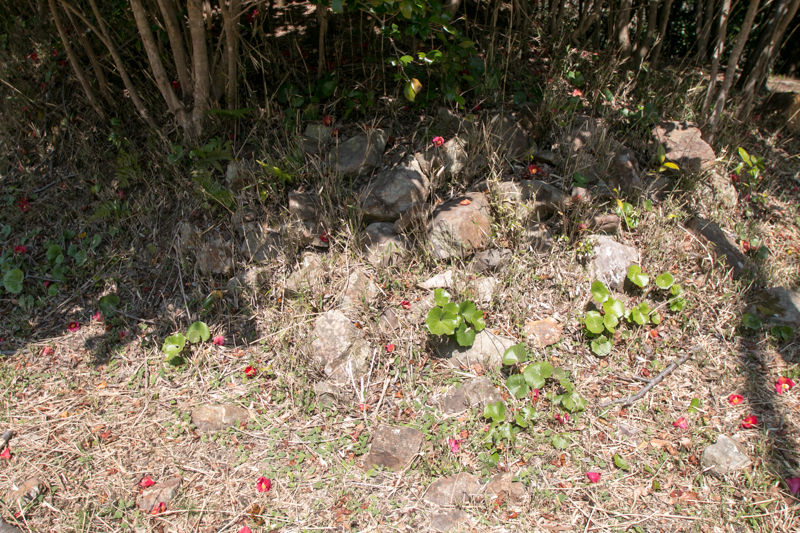 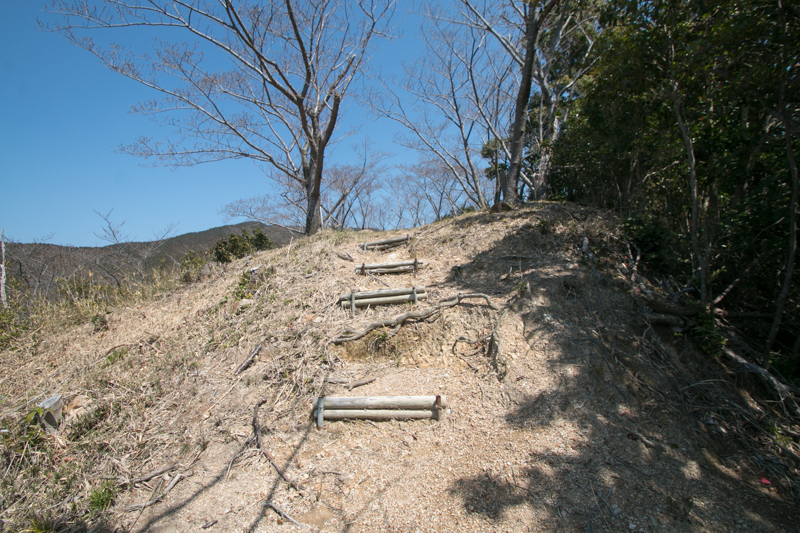 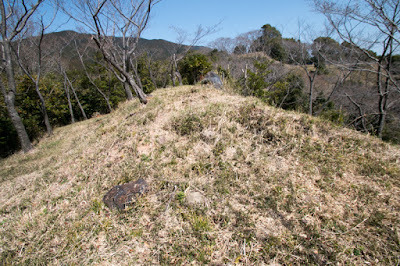 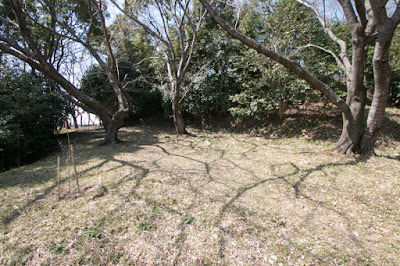 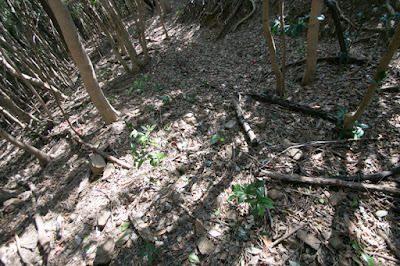 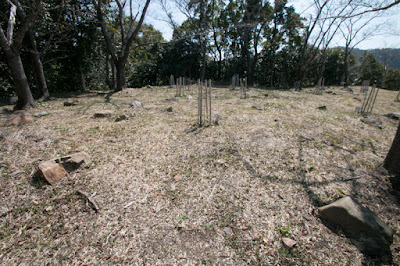 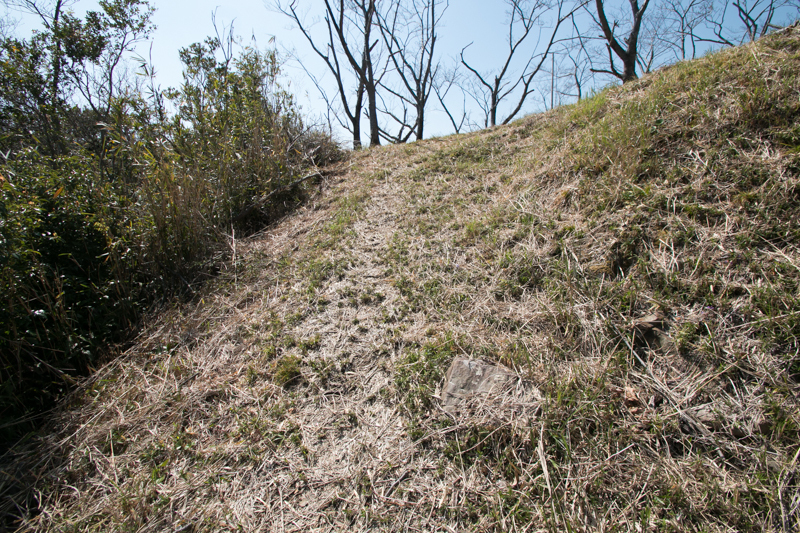 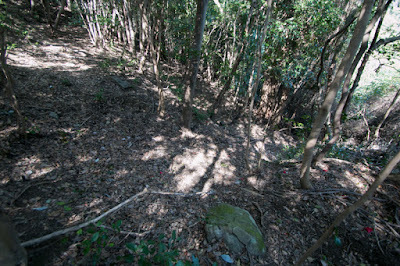 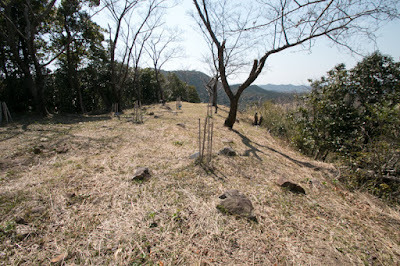 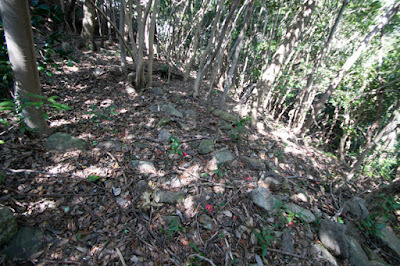 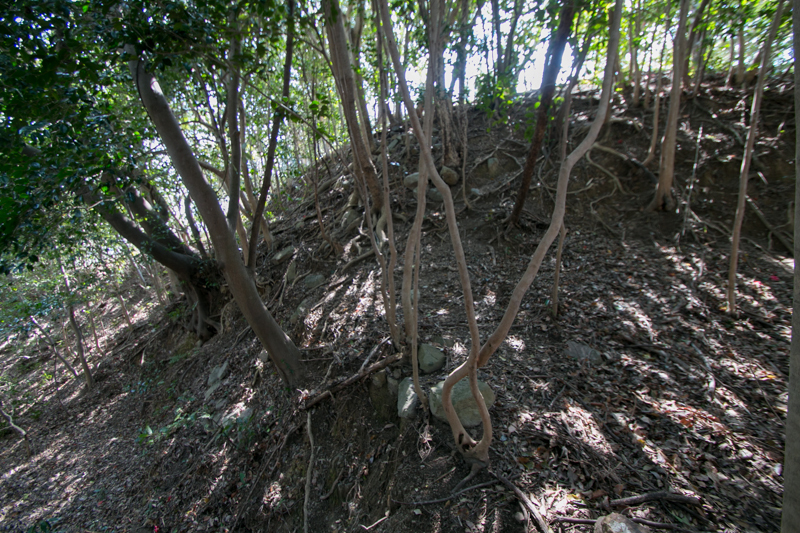 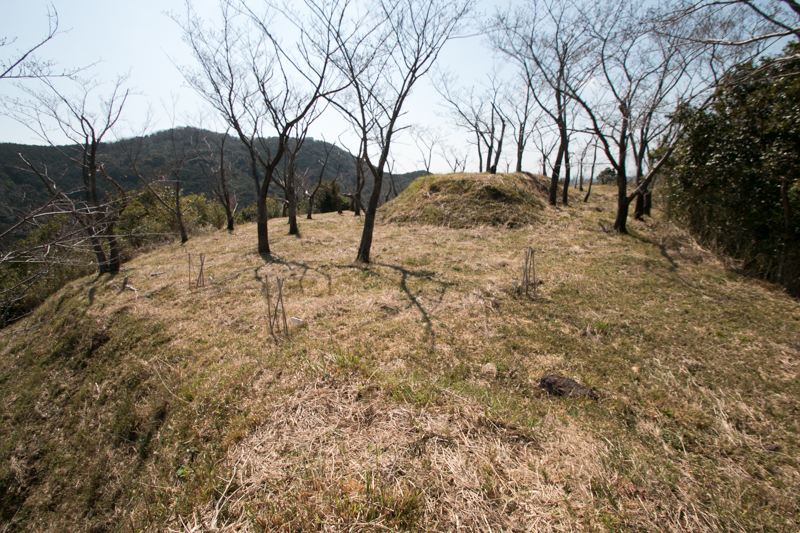 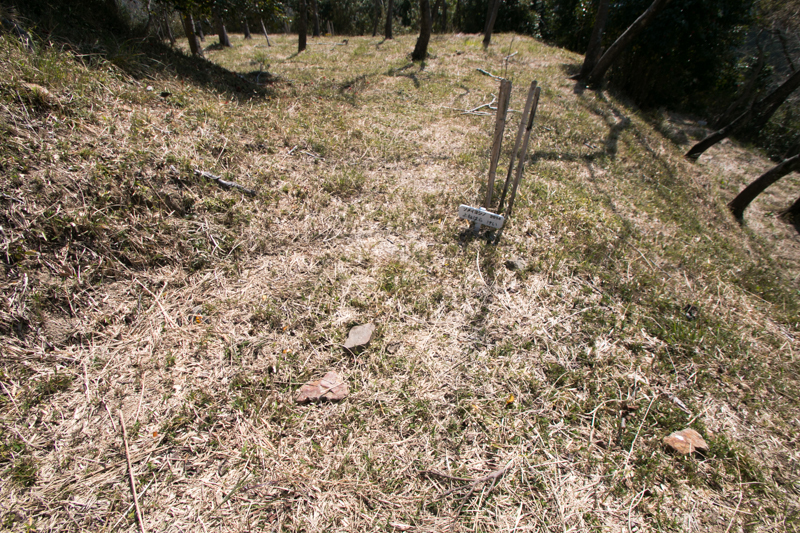 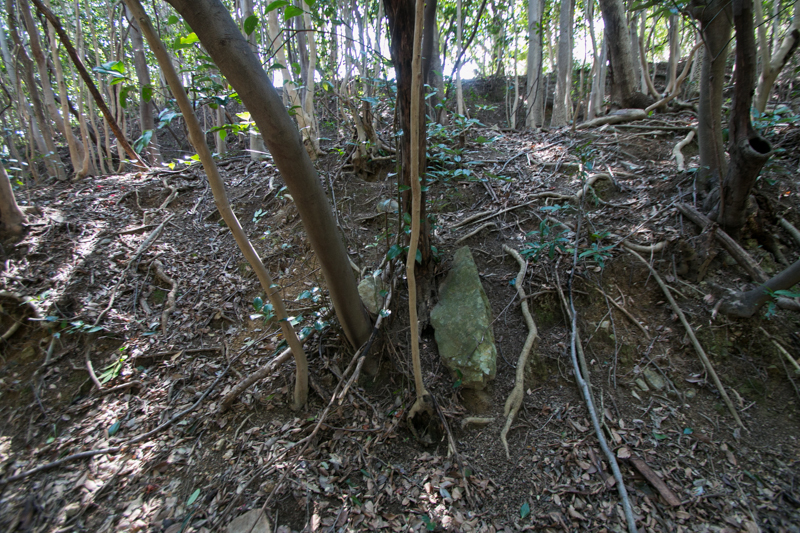 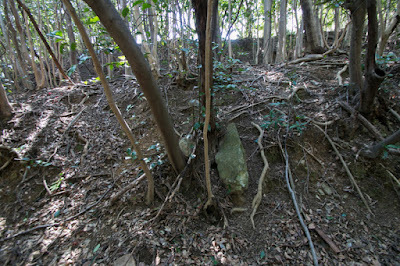 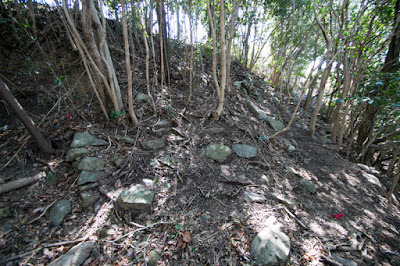 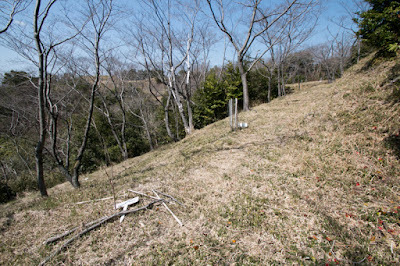 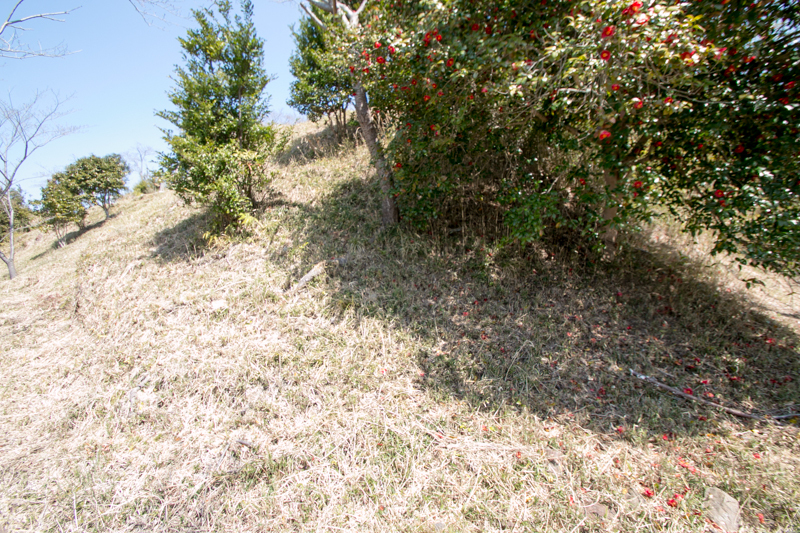 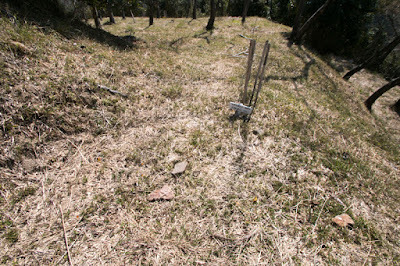 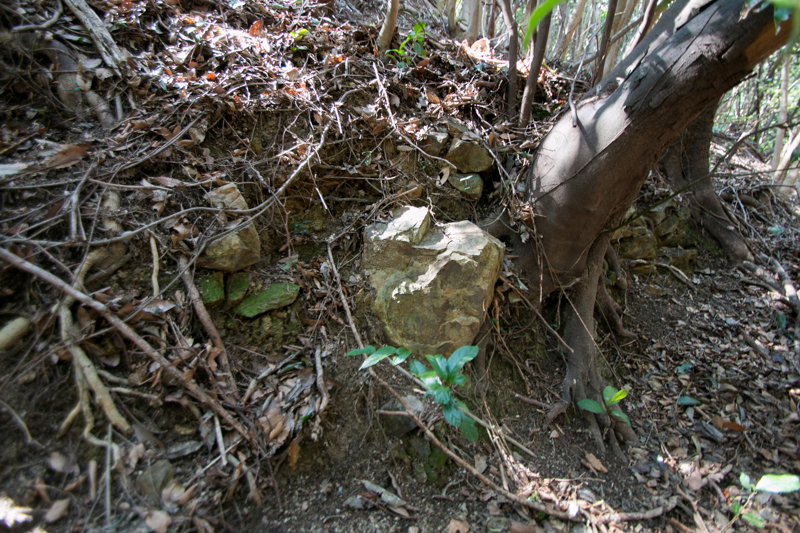 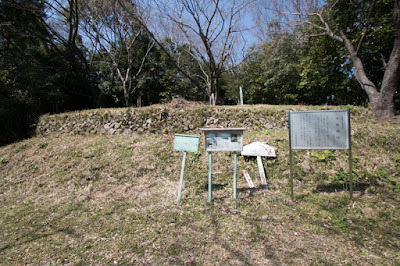 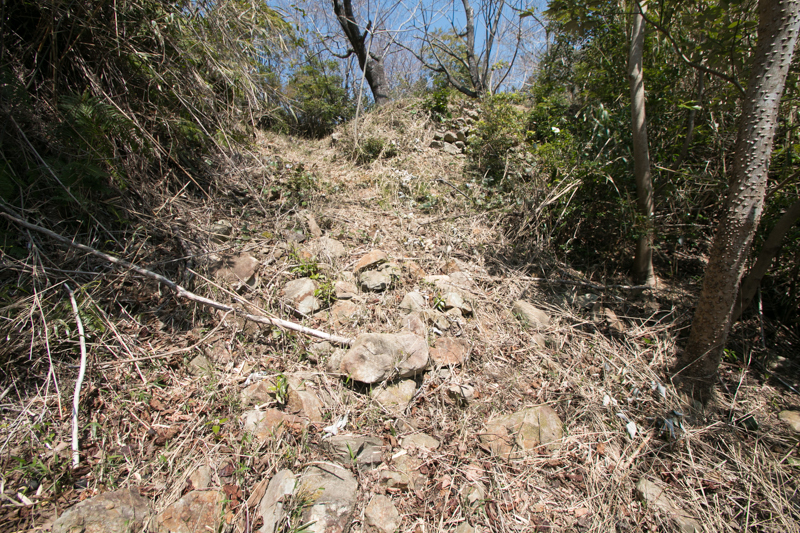 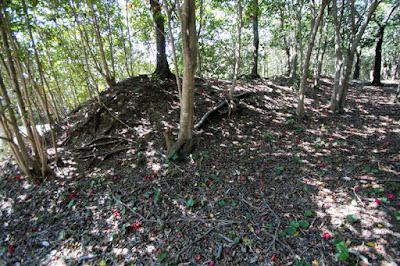 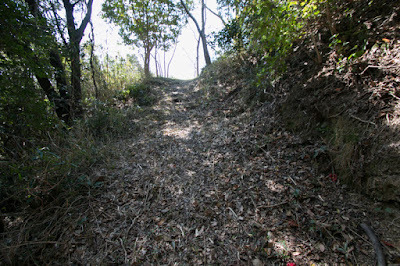 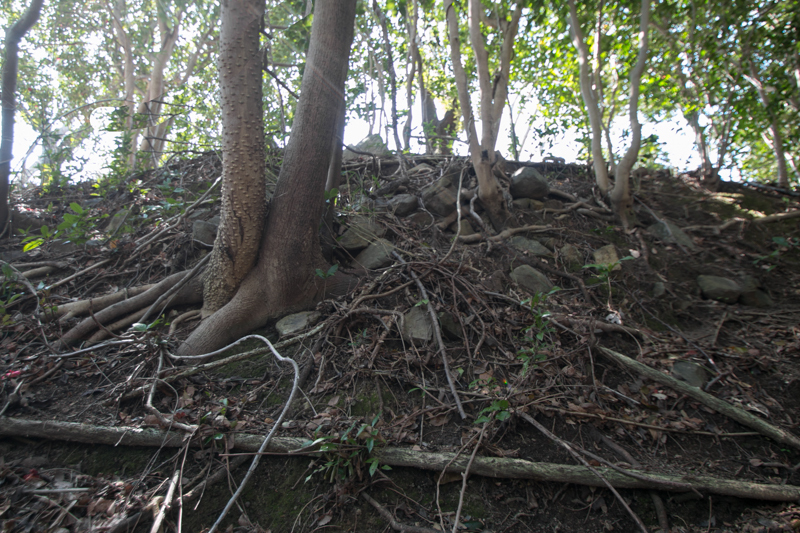 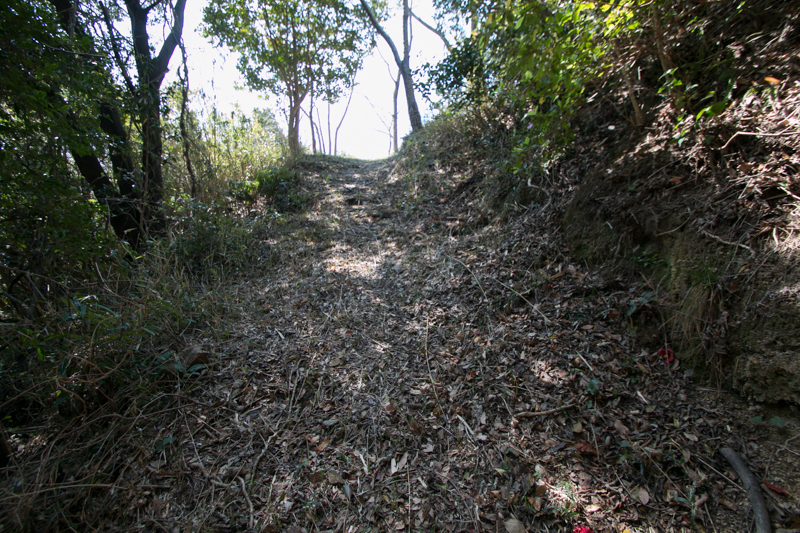 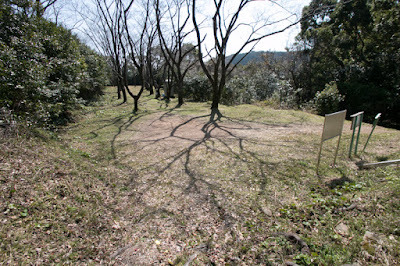 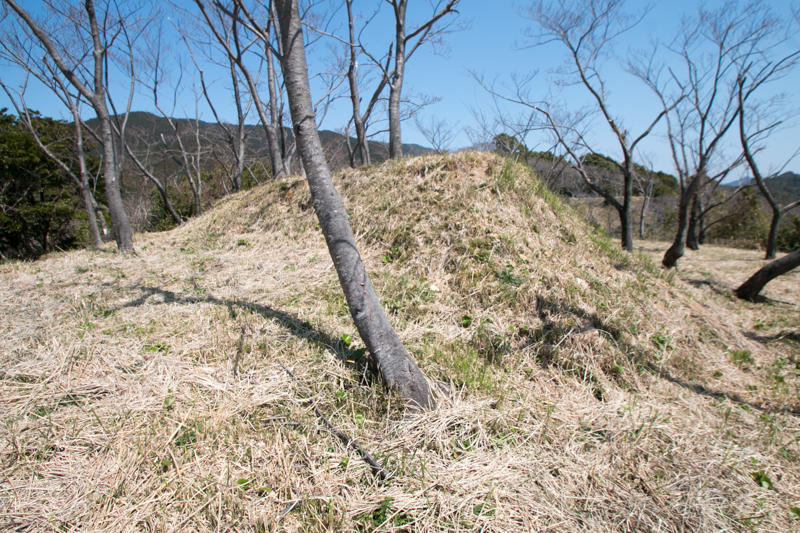 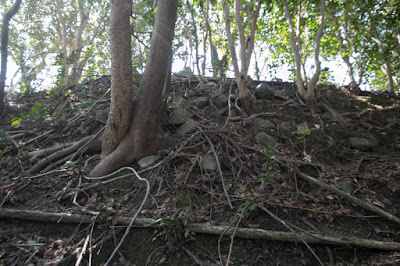 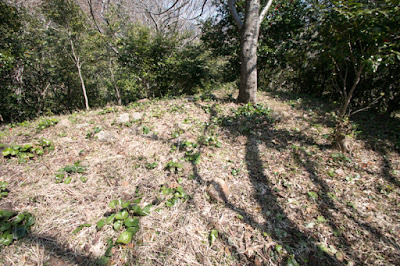 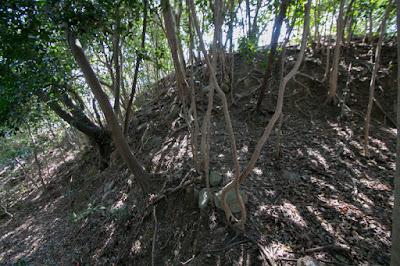 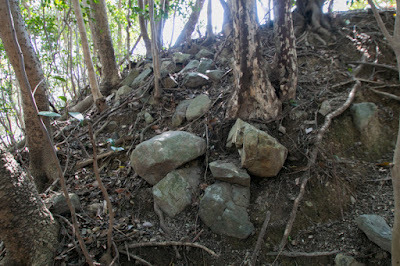 Now all building of Tedori castle was lost, but structure of the castle well remains on the mountain. Many flat areas at different levels with well constructed defense facilities is clearly different from other medieval mountain castles of Kii province and enjoys eyes of visitors. 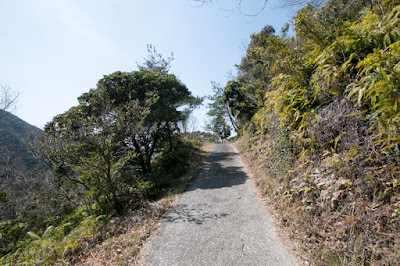 It is a bit distant from central Kinki area and necessary to care about narrow approaching road, it is worth for visiting if travel to this area.